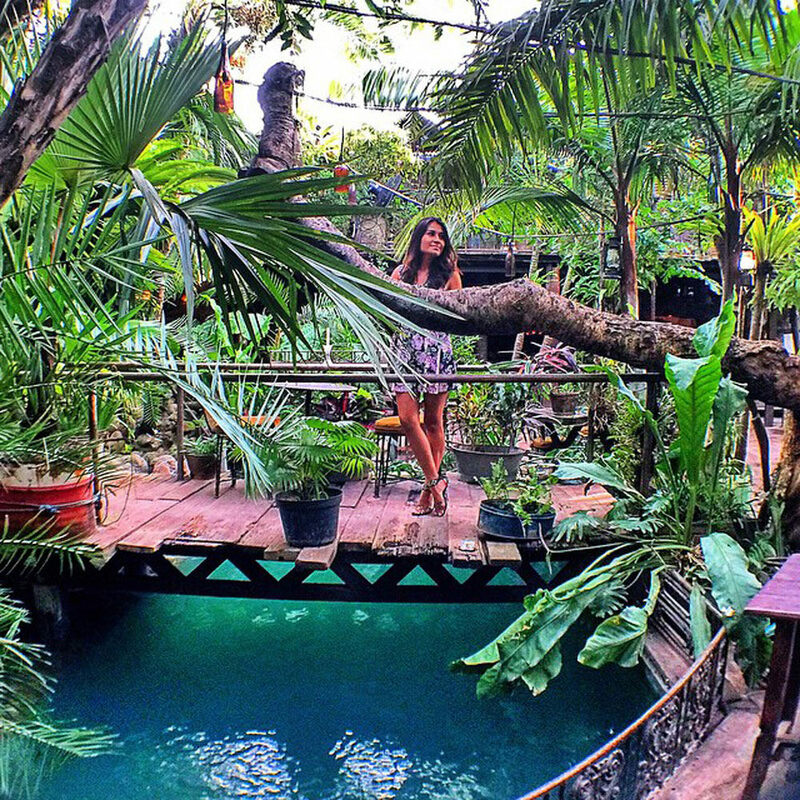 21 Hippest things to do in Seminyak (Bali) where you can eat, shop and party! 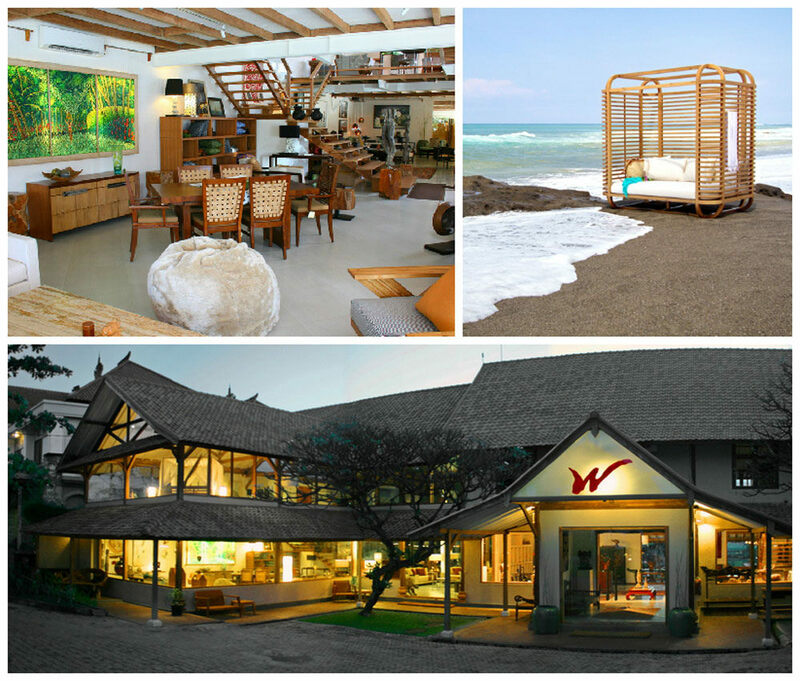 We all know Seminyak is bursting to the brim with the cutest cafes and amazing shopping spots. But did you know? 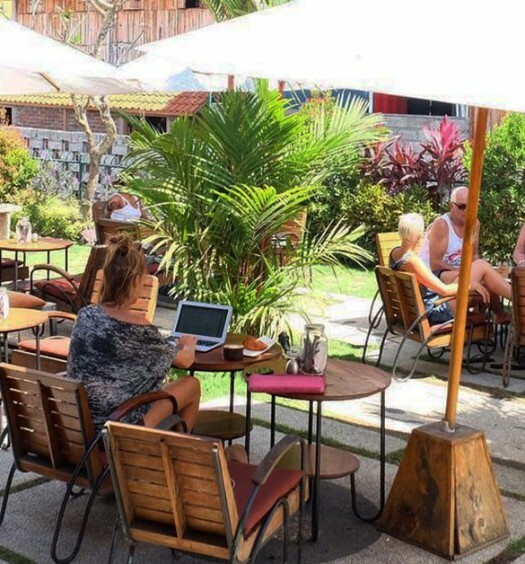 There is so much more to Seminyak. 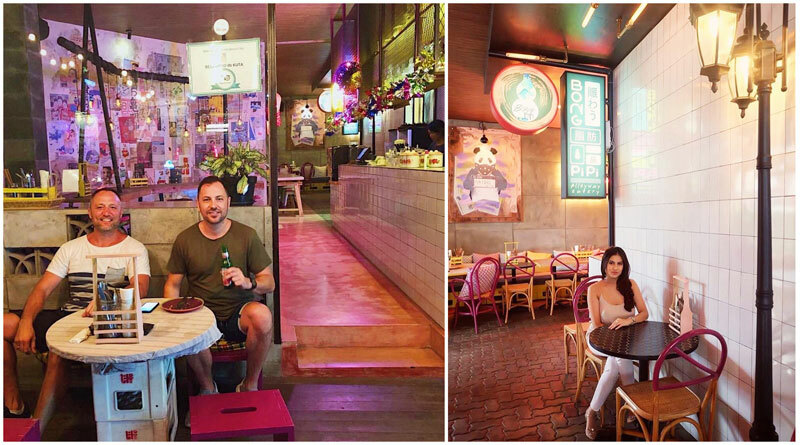 Other than the usual Jalan Laksamana finds, you can find Bali’s first blow bar, and there’s even a particular cafe/bar/motorcycle haunt that serves up tattoos with their tacos. 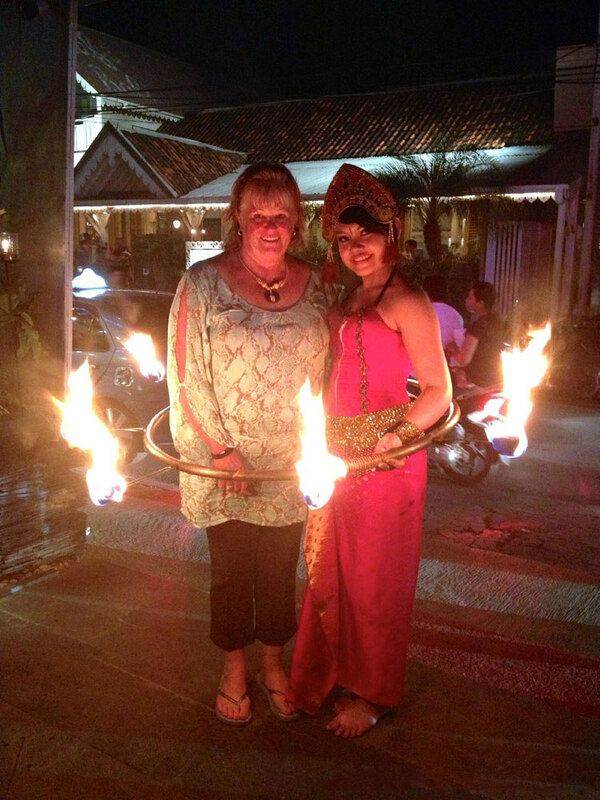 There are also exciting fireshows (Nirvana Burger Bar) to be seen, a thrilling walk on the wobbly bridge (Batu Belig Beach) to be had, and our favourite – gypsy caravans to be explored! 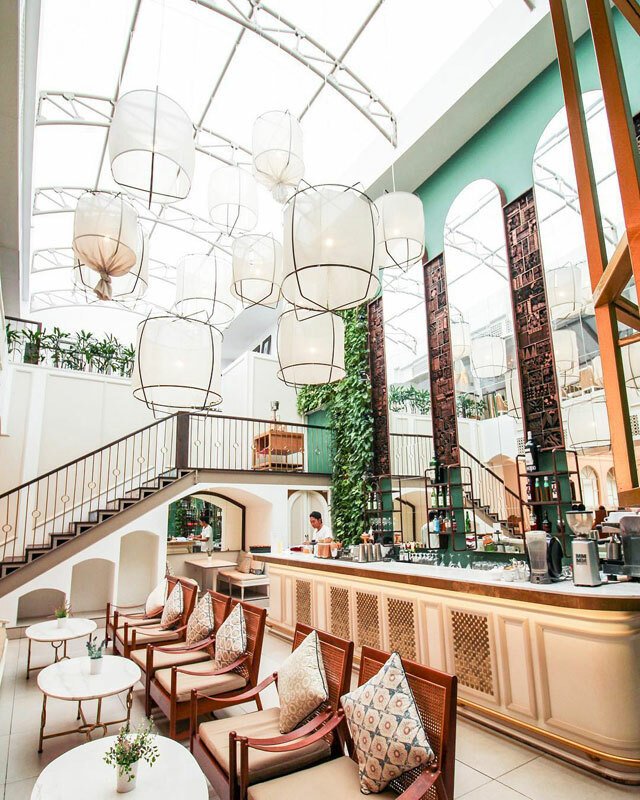 Get up to date with the latest and the greatest at Seminyak, and read on for more. Tired of Indonesian food and looking for something refreshing? How about Vietnamese food? 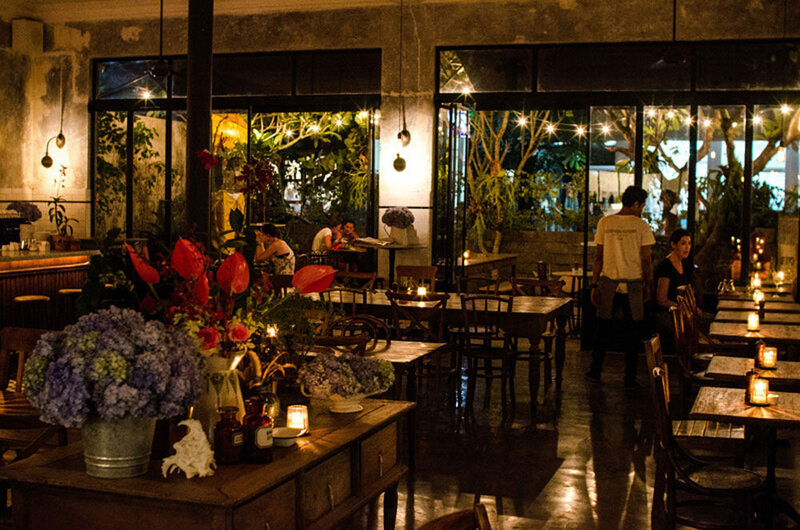 At Bo & Bun, rich Vietnamese tastes meet the romantic atmosphere of a French bistro, creating a unique combination. The mix of fresh ingredients and Asian herbs bring exotic flavours to the tempting meal on your plate! Try the new Pho Ga with traditional chicken broth, chicken breast slices, rice noodles, onions, fresh herbs and Sriracha sauce, paired with a jug of refreshing Sangria to share! And don’t miss the “12 Hour” Pho, which is cooked slowly over 12 hours to create a rich beef broth and is served with fresh herbs and rice noodles. If Malaysian and Indian cuisine is your thing, drop by sister restaurant – Lantern. Their Penang Chicken curry with freshly made roti is a must-try! 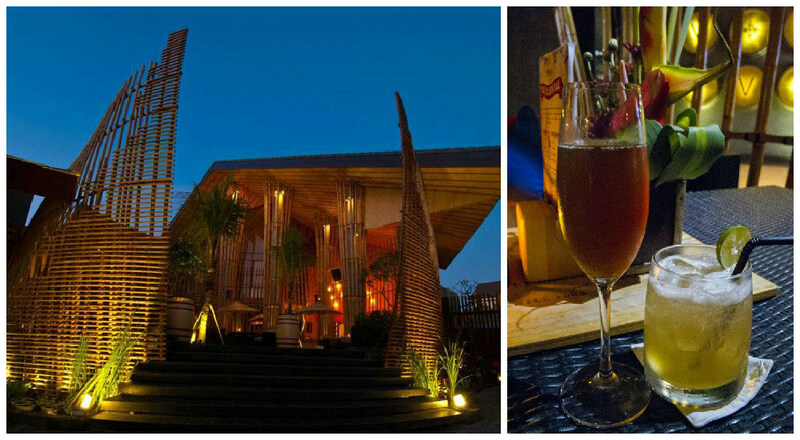 What’s a holiday in Bali without enjoying some cocktails on a rooftop bar, and in a jacuzzi, no less? 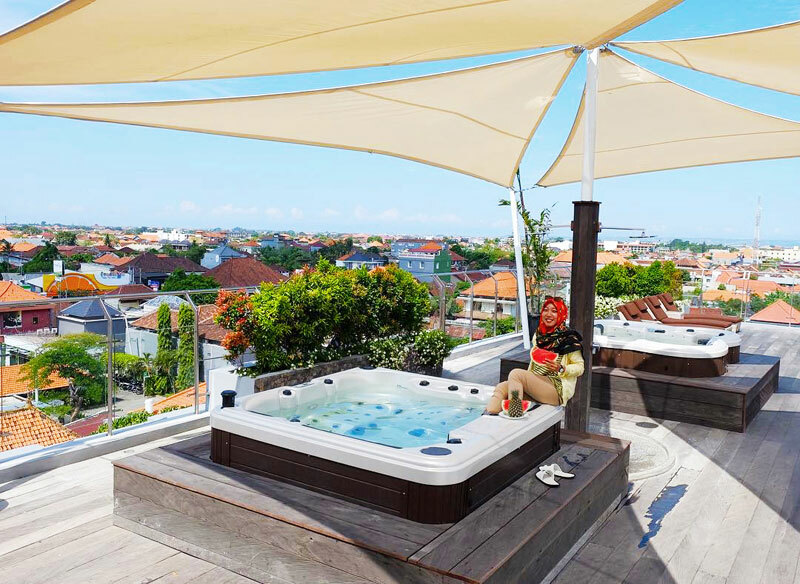 Situated on the top floor of Daun Bali Seminyak hotel, Sky Tryst Bar offers a 270-degree view and an exclusive opportunity to watch the sunset in a bubbling jacuzzi! Cocktails, beer or wine can be accompanied by tasty snacks and bites from the bar. 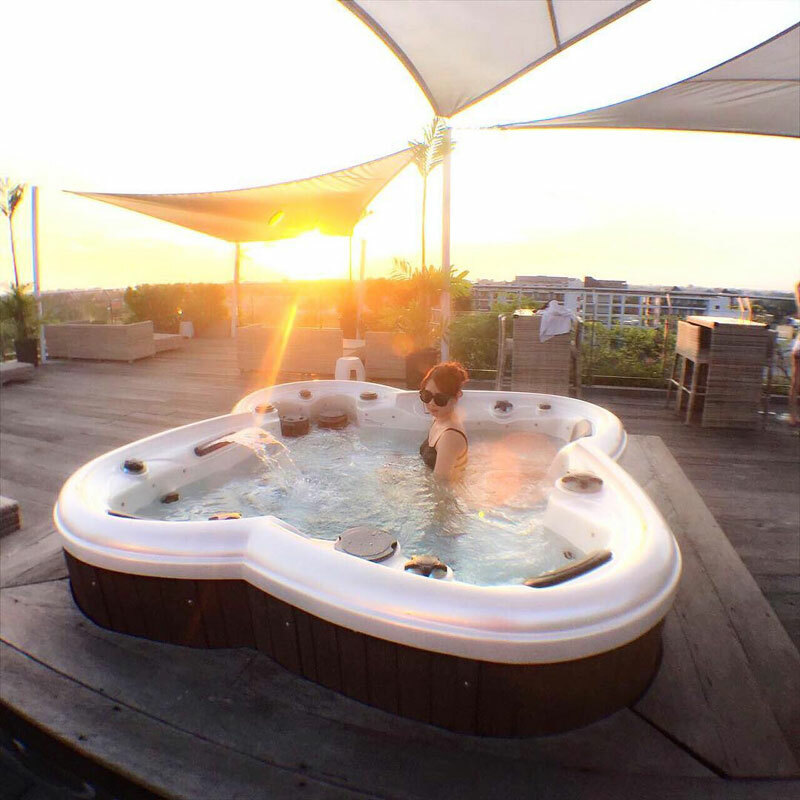 If you’re dropping by for dinner, you can use the jacuzzi with a minimum purchase of Rp.100,000 (approximately USD 7.15). That’s the way to chill on a Friday night! How about chilling on dreamy daybeds by the island’s largest saltwater swimming pool? 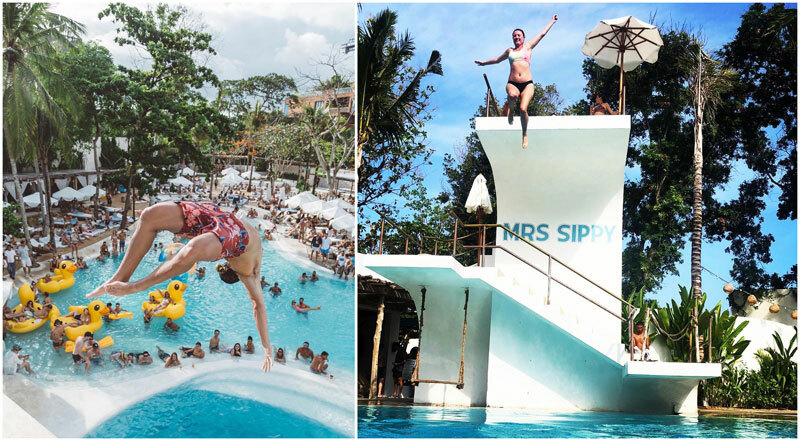 Head over to Mrs Sippy Bali – an open-air club that has the right cool vibe. Cocktails and a refreshing dip in crystal clear water is the way to spend your lazy afternoon. After all, you’re on a vacation! If you are feeling peckish yet want to maintain your bikini bod, opt for a fresh and healthy salad bowl. For those who are seeking some adrenaline rush, you can’t miss the triple-tier dive tower. Dare to jump from the tallest one? When the sun goes down, the place turns into a wild venue hosting famous DJs. Get a glass of Sippy Tiki cocktail concocted from white rum, sparkling wine, fresh raspberry, passion fruit, lime, red bull and grapefruit. Time to party! 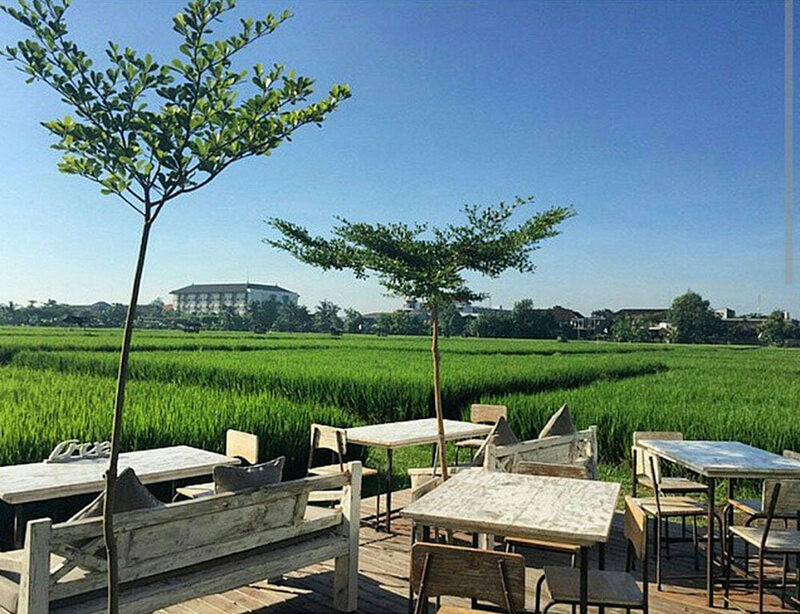 When it comes to places to eat, Seminyak is the warehouse of unique themed cafes and restaurants. But when you have too many choices, it can sometimes get overwhelming. 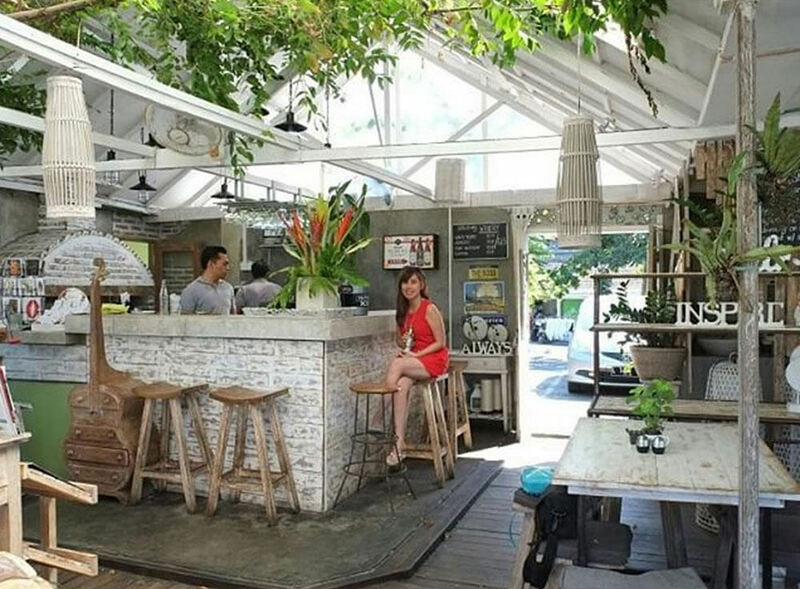 Which is why we’re sharing three of our favourite unique cafes/restaurants in Seminyak. These three establishments have managed to set themselves apart from many others by offering one-of-a-kind atmospheres. They have set up camp in our hearts, and we think they’ll do the same for you. 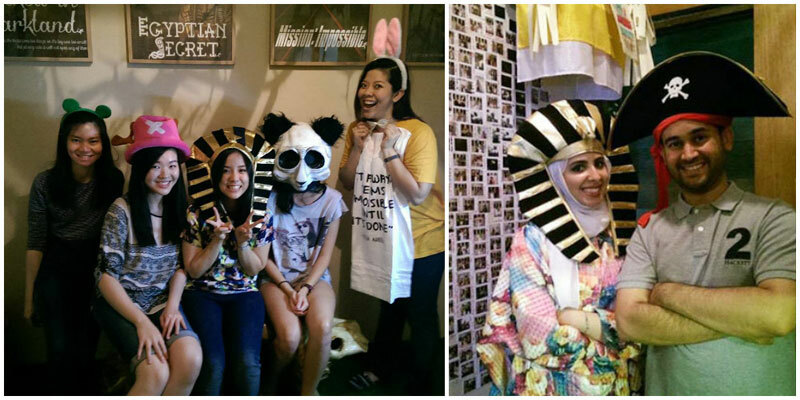 Ever wanted to learn about batik culture in a fun and interactive way? 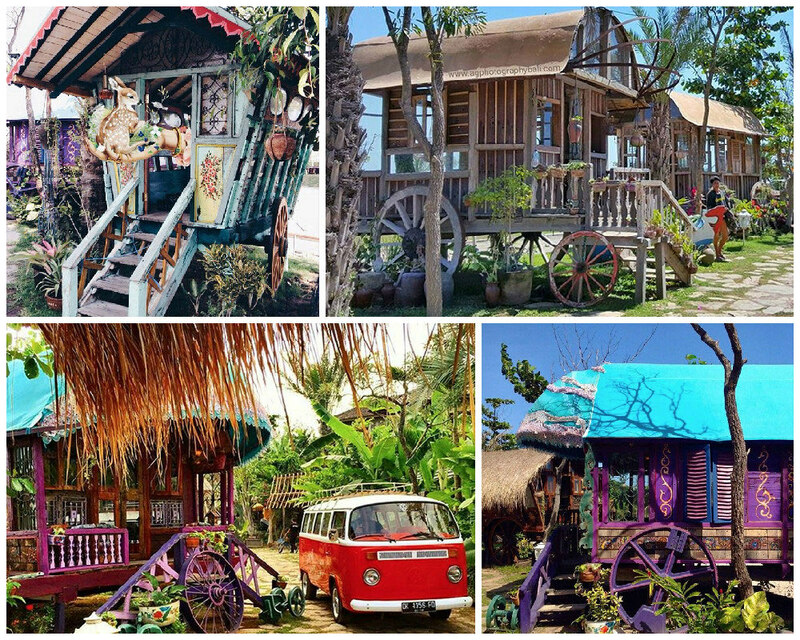 How about dining in a batik-filled restaurant that comes with mini batik tours? 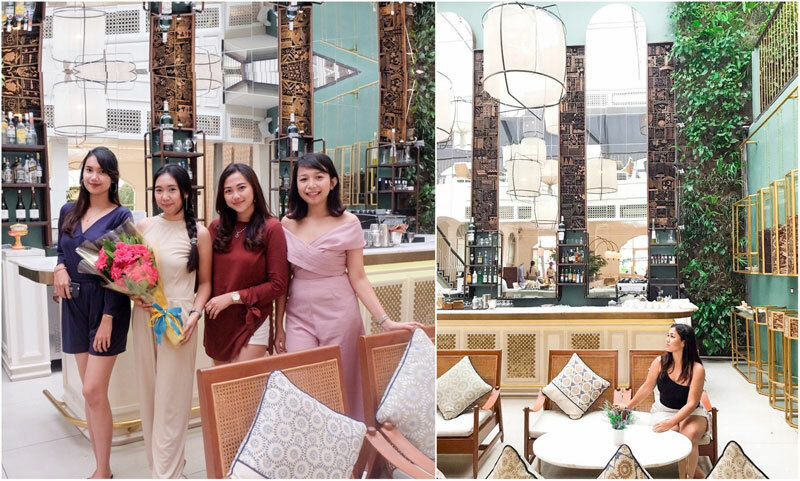 Here, the interior is decorated with both historical and modern elements, with batik in every corner, designed to educate diners about the cultural heritage of batik and its uses. And of course, tasting local cuisine is a form of appreciation of local culture, so how can you not come for lunch or dinner? 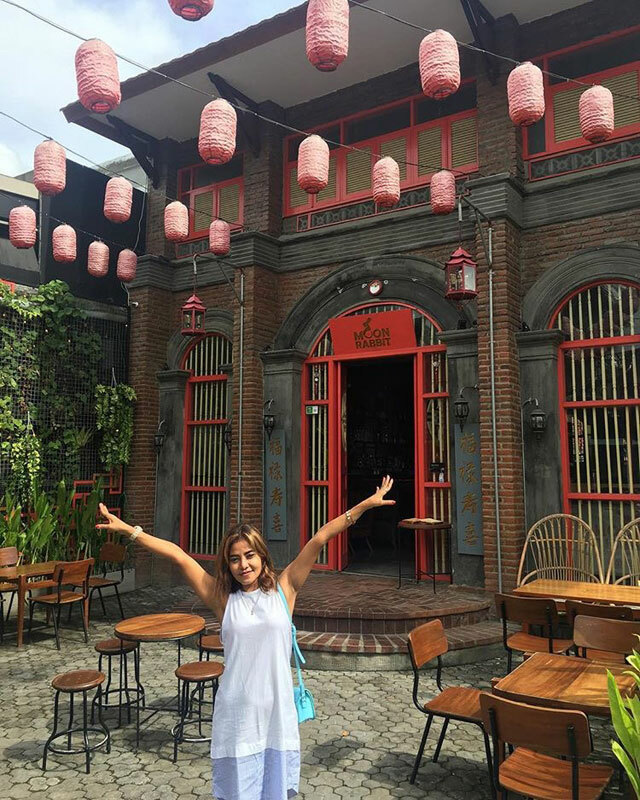 Time to try something a little more exotic – Rawon Sapi ala Batik (black beef soup with turnip, lemongrass and ginger), under the lovely lanterns! After your meal, take your time to admire the traditional art all around you. Upon request, the staff will take you on a mini tour to show you all the various steps of batik-making, from waxing to dyeing. Notice the batik stairs that show the 23 Indonesian centres of batik production! And if you’ve always thought batik is just an old traditional form of art, you’re wrong! You can incorporate the art of batik into modern art too, and of course modern dresses. 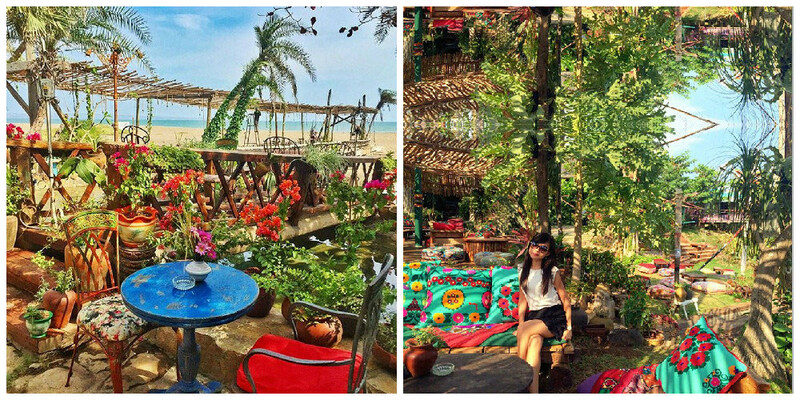 If your main aim for going to a cafe is to take pictures, you’ll definitely fall in love with La Laguna. 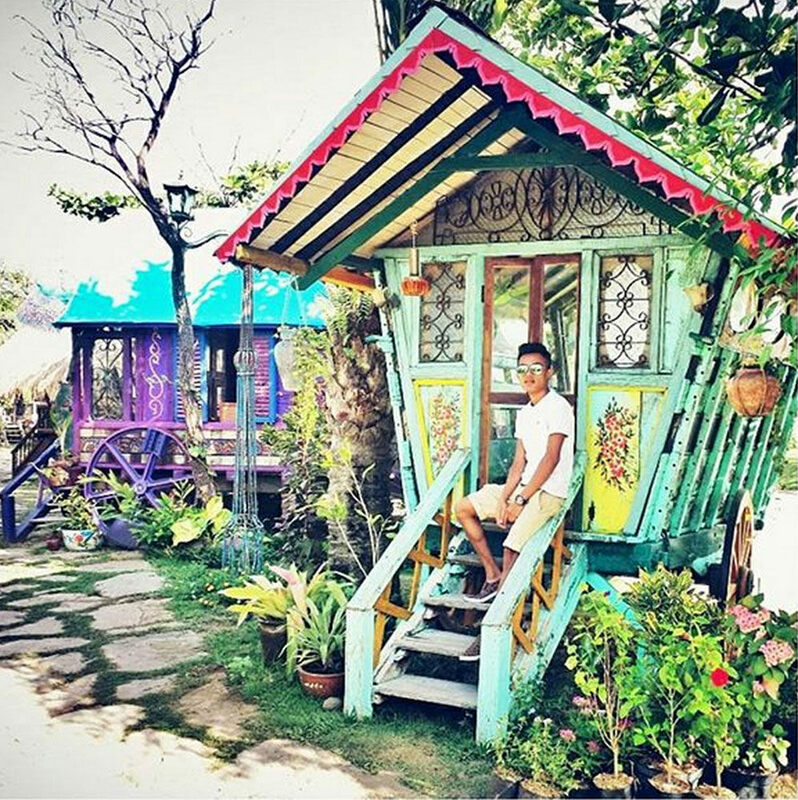 Positioned right on the beach, the cafe is decorated with many colourful gypsy caravans, where you can strike your favourite pose and immediately get an insta-worthy picture. If pictures aren’t your thing, lounge on the comfy seats with a glass of La Laguna Breeze Cocktail, and try to spot a peacock or two! Are wild parties more appealing to you? 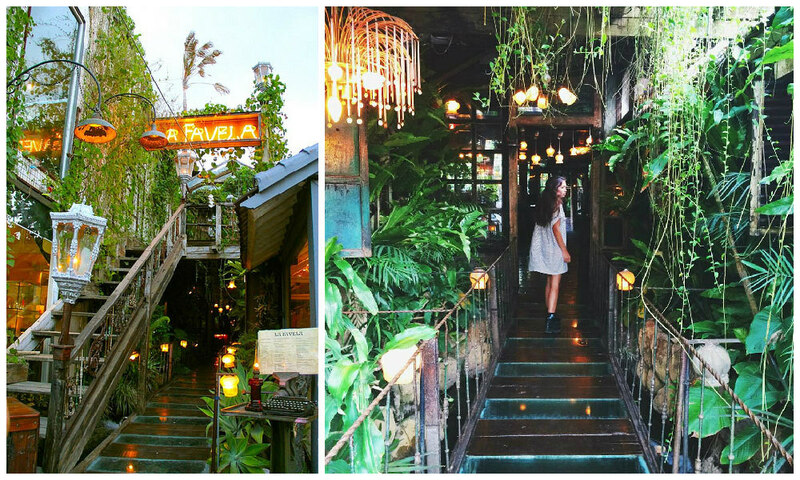 Don’t miss out on La Favela, a tropical-themed restaurant by day, and festive bar by night. 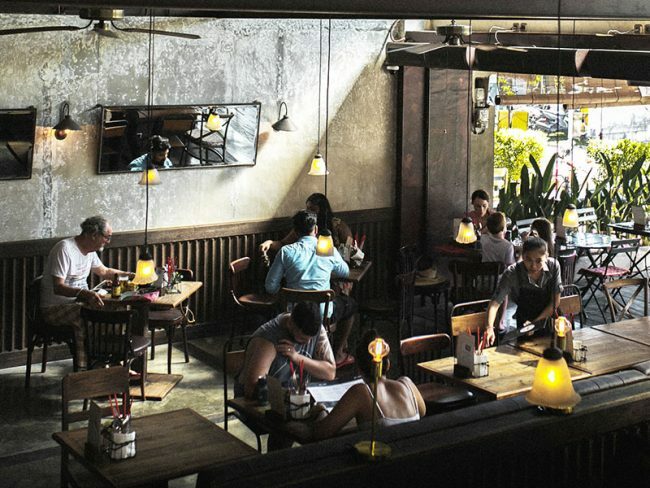 With its unique themes that change daily and wide variety of food and drinks, La Favela is a great place to hang out and have fun with your mates. 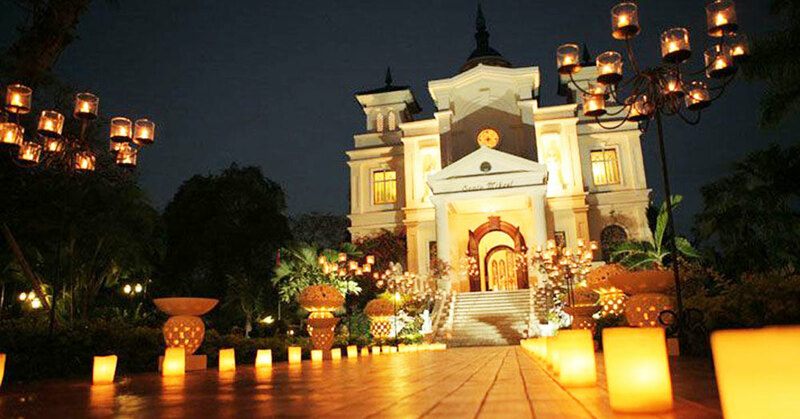 The intoxicating party atmosphere here is sure to get you grooving away before the night is over! 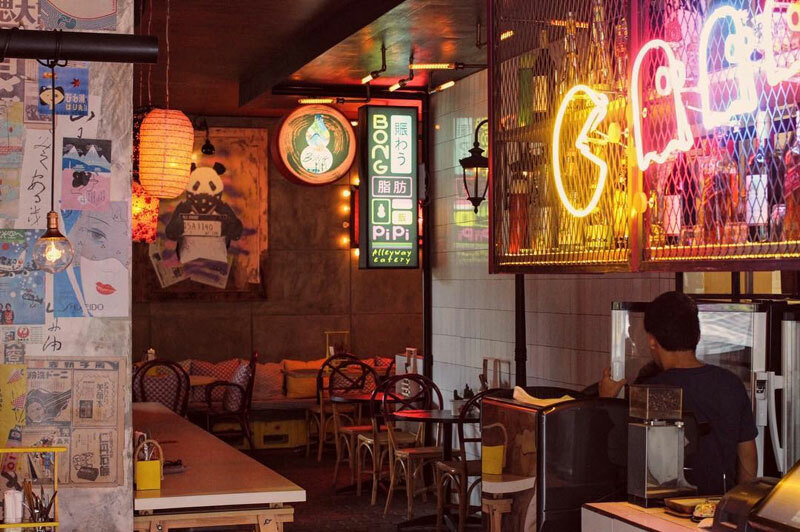 With its vibrant red and old Chinese decor, stepping into this place feels like you’ve stumbled upon a part of urban Chinatown in its glorious vintage era. 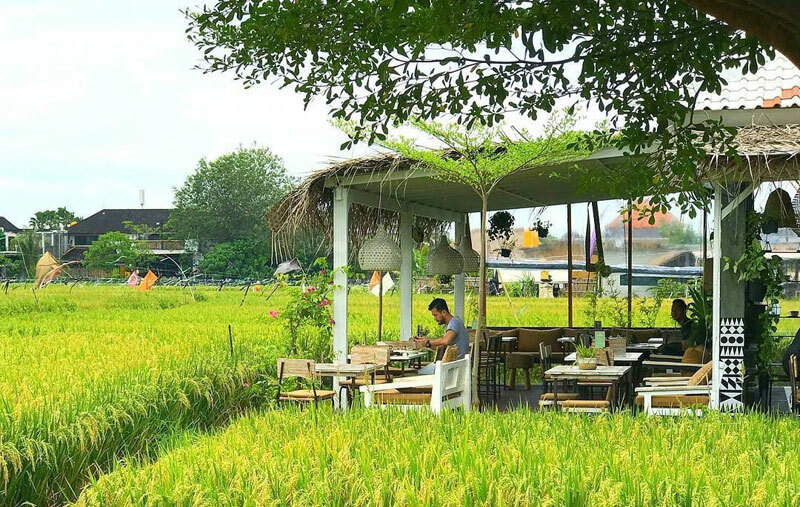 The beautifully designed restaurant sets the mood just right with giant oriental lanterns, old-school rattan chair sets, low wooden tables, and murals featuring folklore goddesses on the wall. 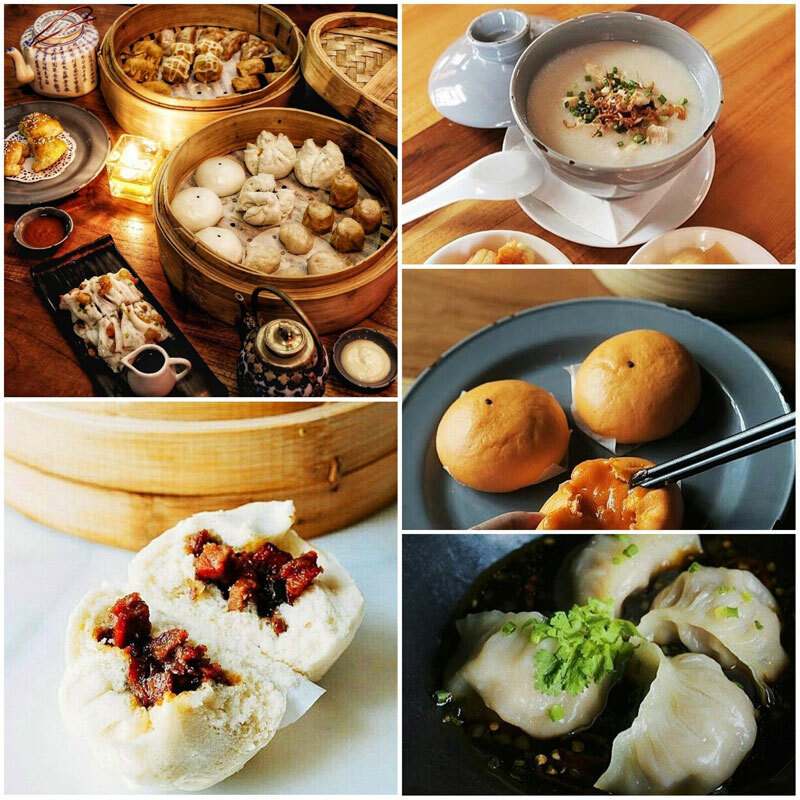 Other than serving hot favourites from everyone’s favorite dimsum menu, such as pork steamed bun or prawn siu mai, other mainstream Chinese goodies are also up for grabs here, including pork belly, kung pao chicken, laksa and more. The fun continues all the way to its liquor bar, where you can order a variety of alcoholic drinks and cocktails. 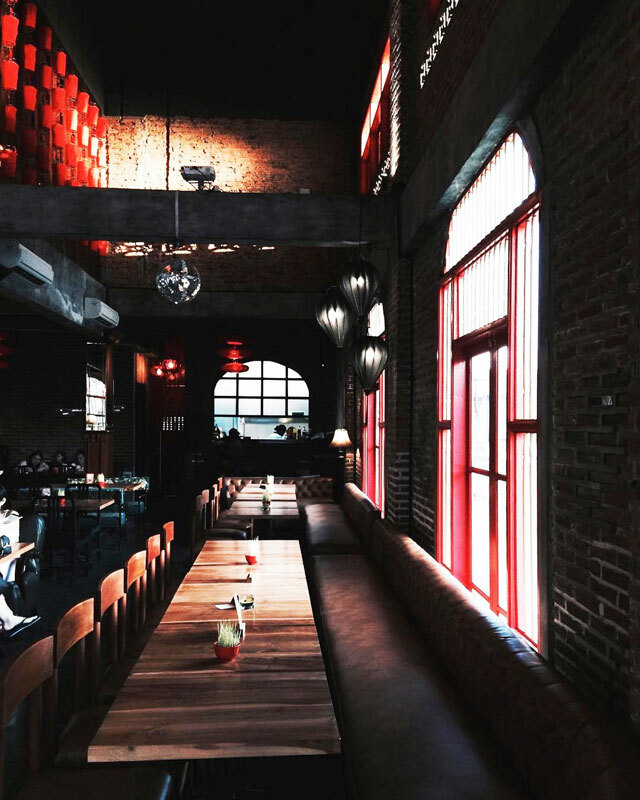 With acoustic music and soothing DJ mixes crooning in the background, Moon Rabbit is far from your typical crowded and noisy restaurant. 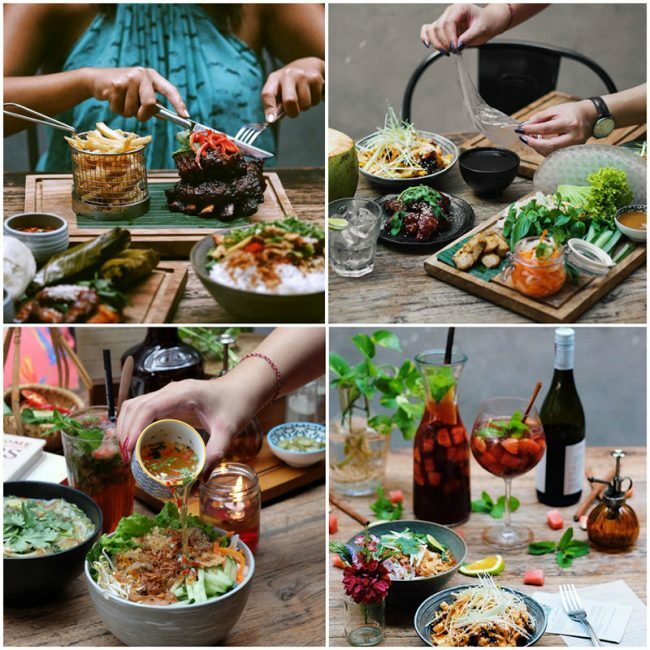 Expect sophistication, the best of Chinese meals and an endless flow of unique drinks for a great meal in Petitenget, Seminyak. What’s more, there is a beautifully crafted masterpiece of stained glass that can be traced back a century to it’s origins in England. 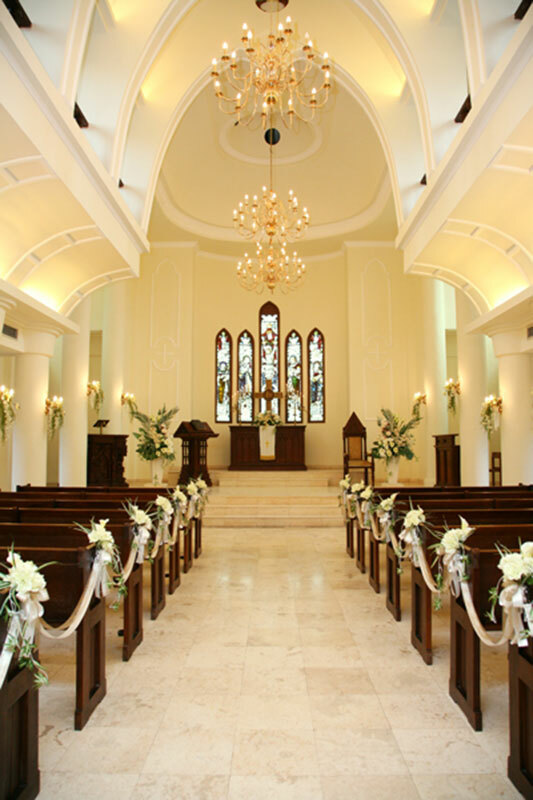 Walk in and check out the beautifully quaint church settings with its long wooden pews. It almost looks like a scene out of a Disney fairytale! Never mess with the power of a good hair blowout! Pair that with a glass of good alcohol, and you can conquer almost anything. 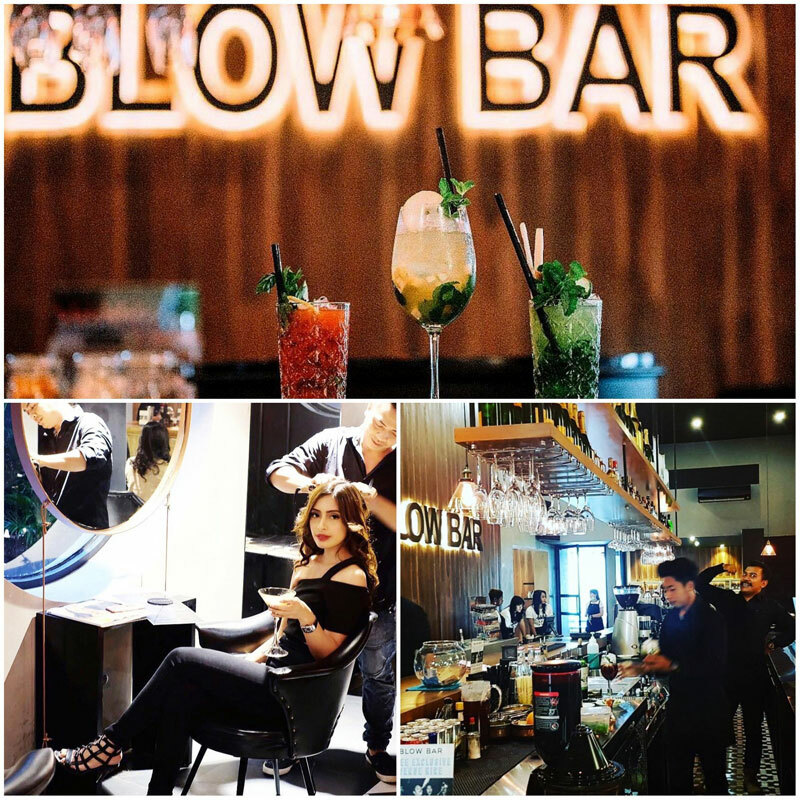 Blow Bar is a purpose-designed bar meets beauty salon on Oberoi Road. 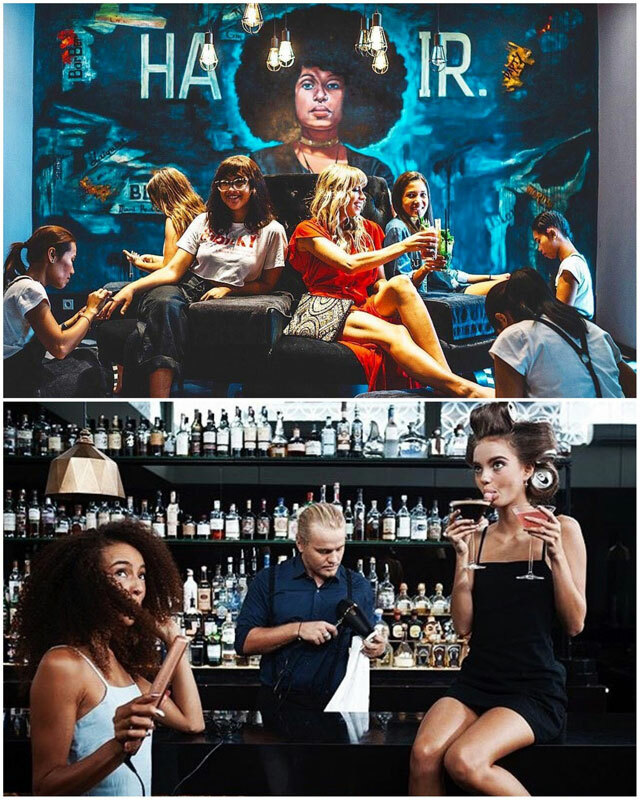 With a modern New York-Soho vibe, the first Blow Bar in Bali is ready to pamper those locks on your head while you down some drinks on the side. Choose from various blowout styles, hair treatments, manicure, pedicure, waxing and make-up to brow and eyelash extensions. There’s even a special barber section for the guys – nope, no Sad Boyfriends on Blow Bar’s watch! While dolling up, you’re encouraged to drink in style. Take your pick from champagnes by the bottle, a glass of wine, cocktails, fresh pressed juices, teas and coffees. 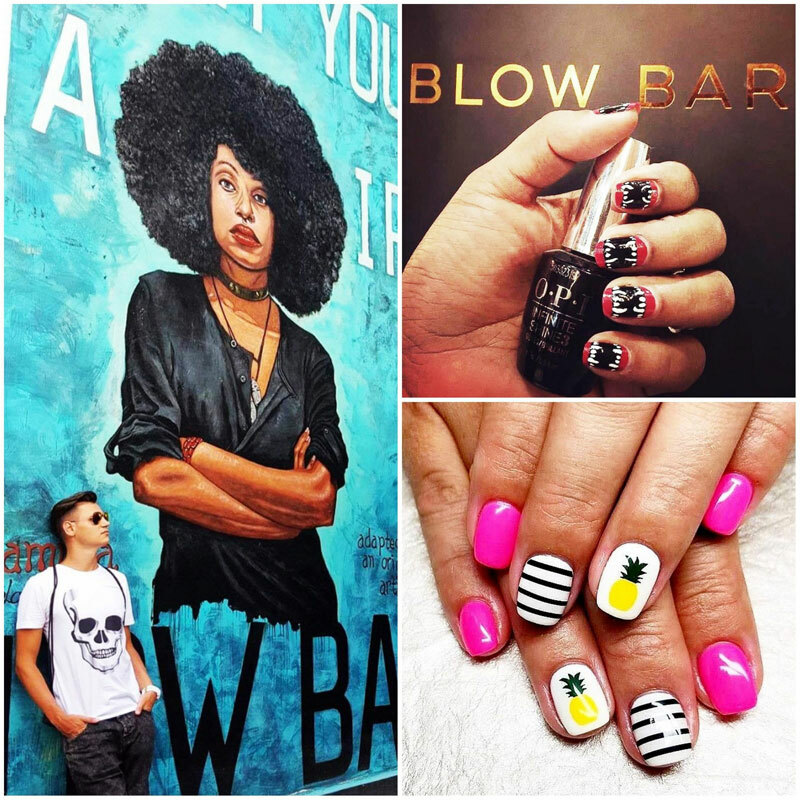 Although Blow Bar accepts walk-in guests and is more than capable to handle large groups, do consider booking an appointment by phone or reserving through their website to ensure a smooth experience. 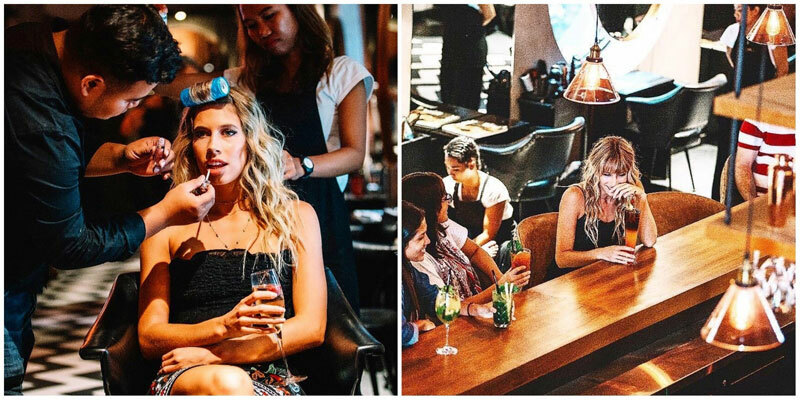 Bring your girlfriends (or boyfriends) along and say goodbye to frizzy Bali hair! It’s all about #aestheticgoals when you’re at Kim Soo. 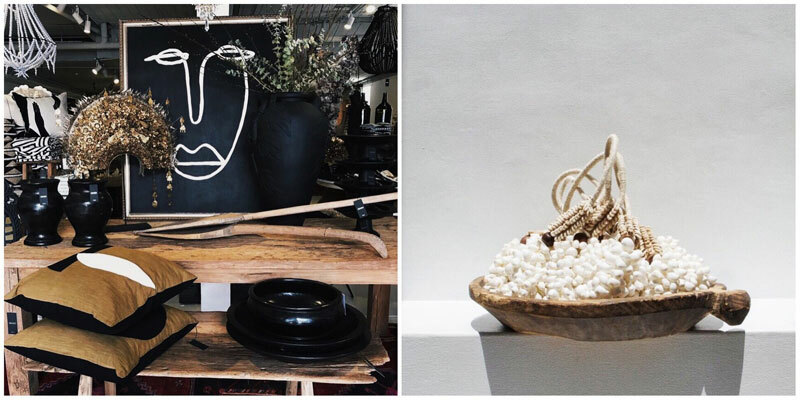 Launched as a homeware and design space, Kim Soo is more than just your regular retail store. With a mix of bohemian, ethnic, classic and contemporary styles combined, the owner transformed what was once an old Dutch Colonial building into a cozy space decorated with exotic treasures. 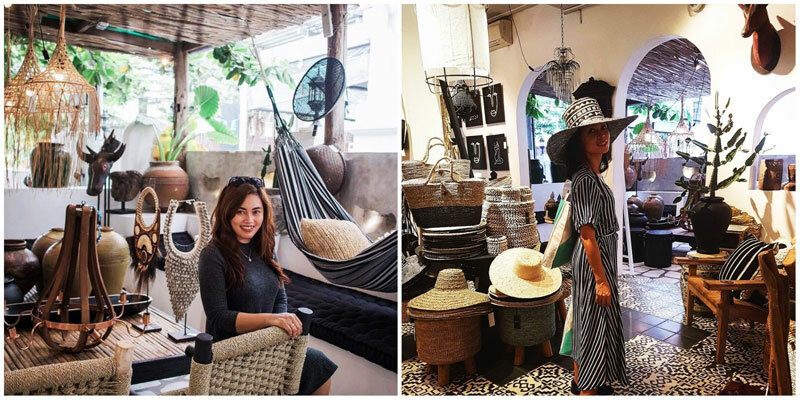 From sleek wooden kitchen utensils, effortless rafia fashion items and unique patterned textile to delicate accessories made of shells and clams – everything here is either handcrafted or a rare item sourced from all across Indonesia. Kim Soo’s interior is painted in soothing earthy colours, while a turquoise pool waits out back to complete your fabulous visit with a splash. 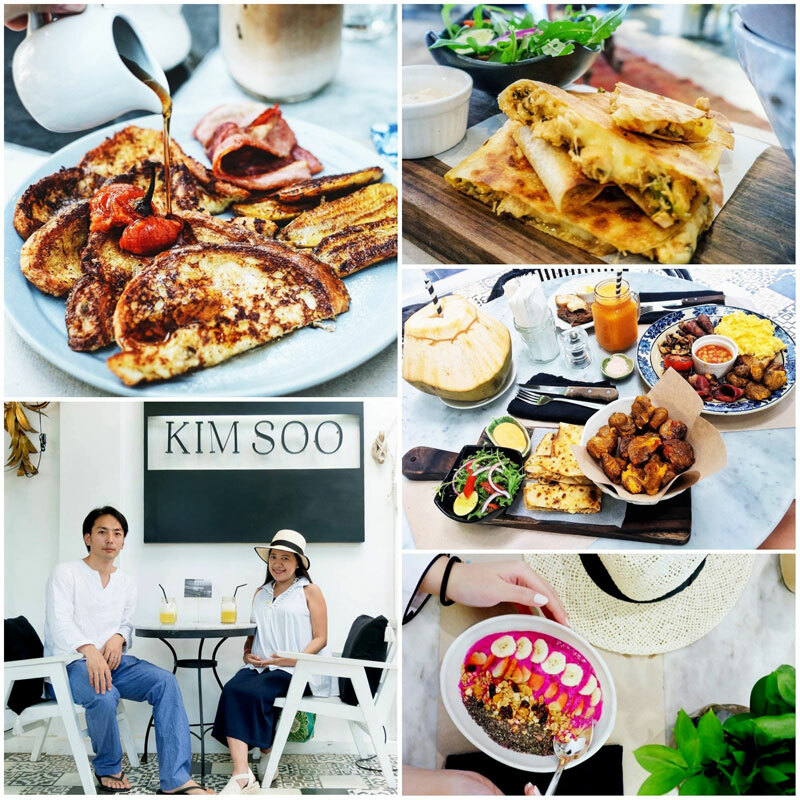 Naturally, this place makes the perfect hangout spot, and the owners know that – so Cafe Kim Soo was born! Rest assured that the food here is every bit as mouthwatering as the style. Enjoy a simple French Toast, homemade cakes or a pancake drizzled with maple syrup, as well as aromatic coffee and tea brews. You’ll feel right at home inside the achingly stylish Kim Soo. 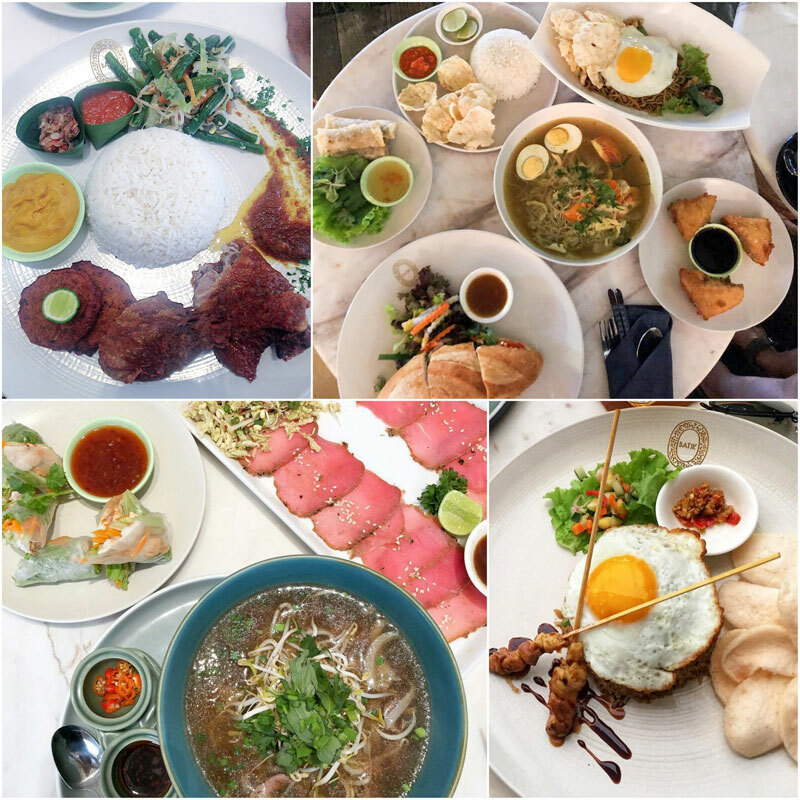 Price: Food from Rp 14,000 – 79,000 (approximately USD $1.05 – 5.85). Homeware prices vary. Why play Indiana Jones video games at home when you can actually be the guy in real life? 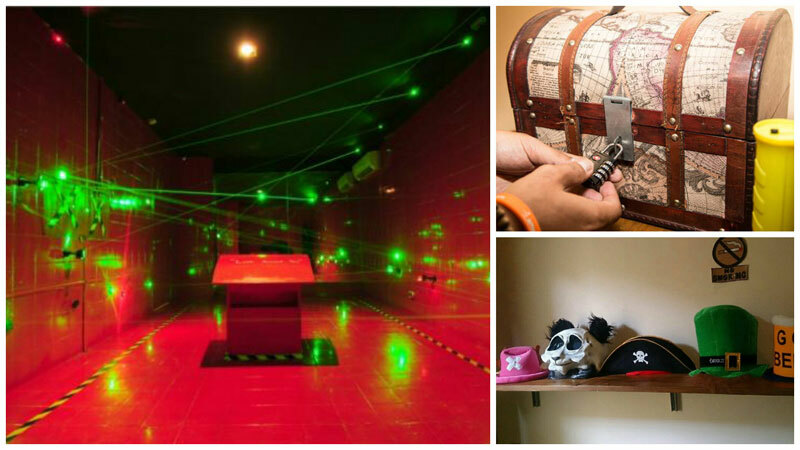 Step into your adventurer boots at Totem Room Escape, the first and largest room escape game in Indonesia. Here, you and your friends (minimum 2 persons) will be locked in a room and experience a thrilling adventure, as you race against the clock to solve puzzles and find a way out! This is not just some role-playing game, okay. This is serious business. Or at least they make you feel like it is – the (jail)room is decorated in all sorts of lifelike ways. From the tomb of the Egyptian pharaoh to the high-tech vault in Mission Impossible – it’s indeed Mission Impossible to differentiate between reality and fiction! You can also wear costumes to immerse yourself fully into the game. Doesn’t it sound exciting? This is no doubt the best way to test your intelligence – without Google and faced with a ticking clock, can you make it out alive? 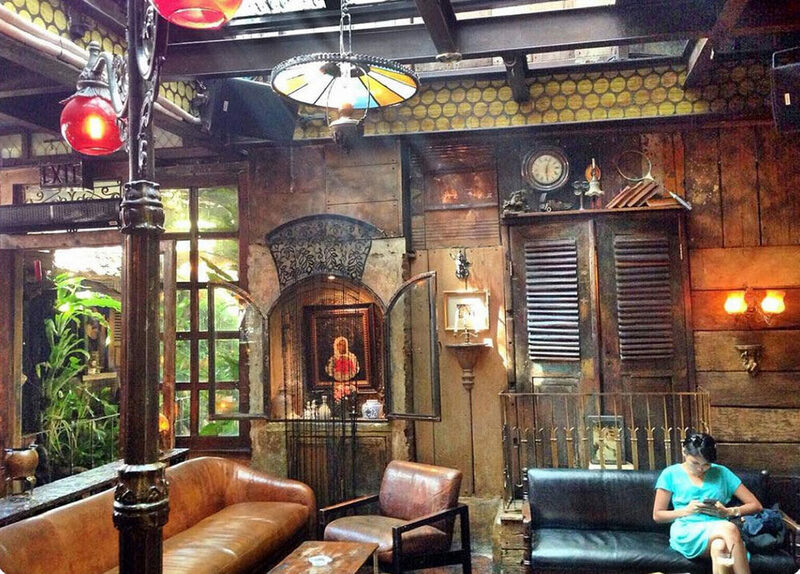 Tip: Given the limited amount of space, you’ll want to make a reservation in advance by phone or the website. 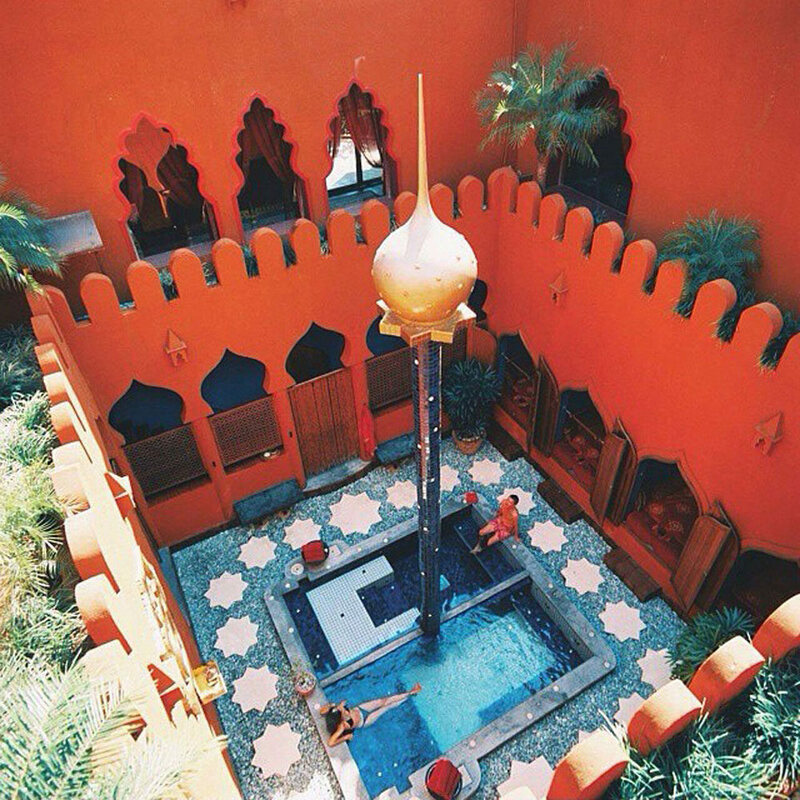 Scenic views and beaches aside, this is a definite go-to place for an Instagram-worthy picture to liven up your photo grid! 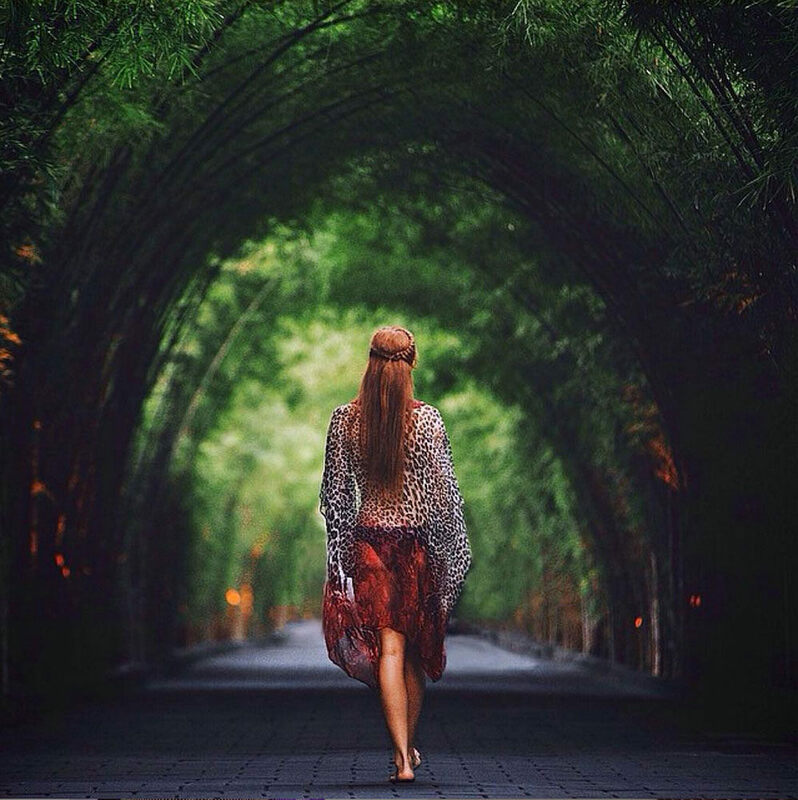 The picturesque bamboo forest entrance, right outside the W Retreat & Spa is a view so beautiful, that it quickly became one of our favourite shots in Bali of all time! 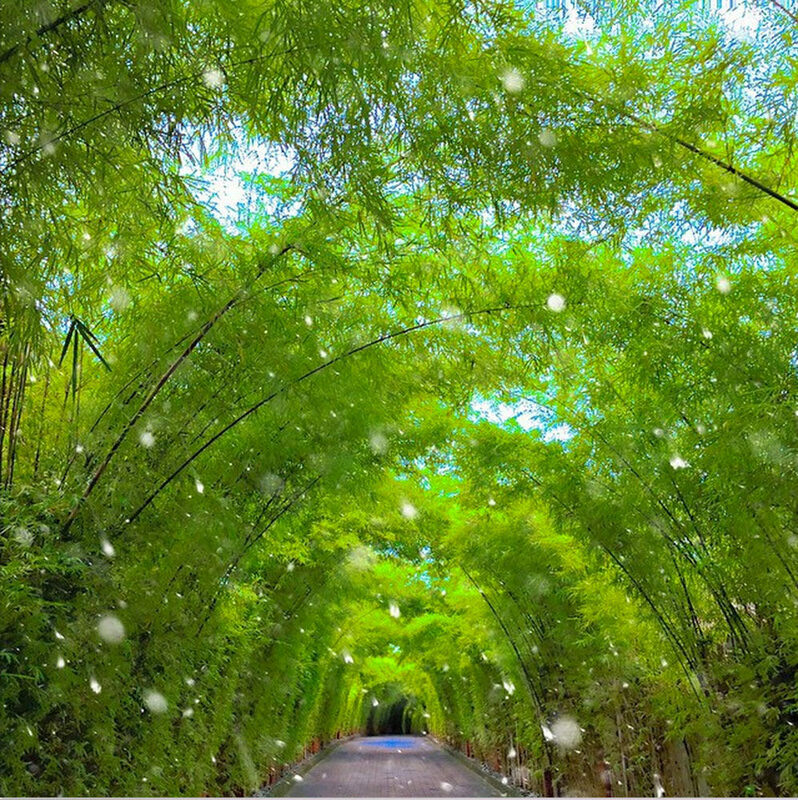 Tall leafy bamboo on either sides of the path droop to create a natural arch framing the path outside W Retreat & Spa – creating a wonderfully whimsical background perfect for photo-taking. 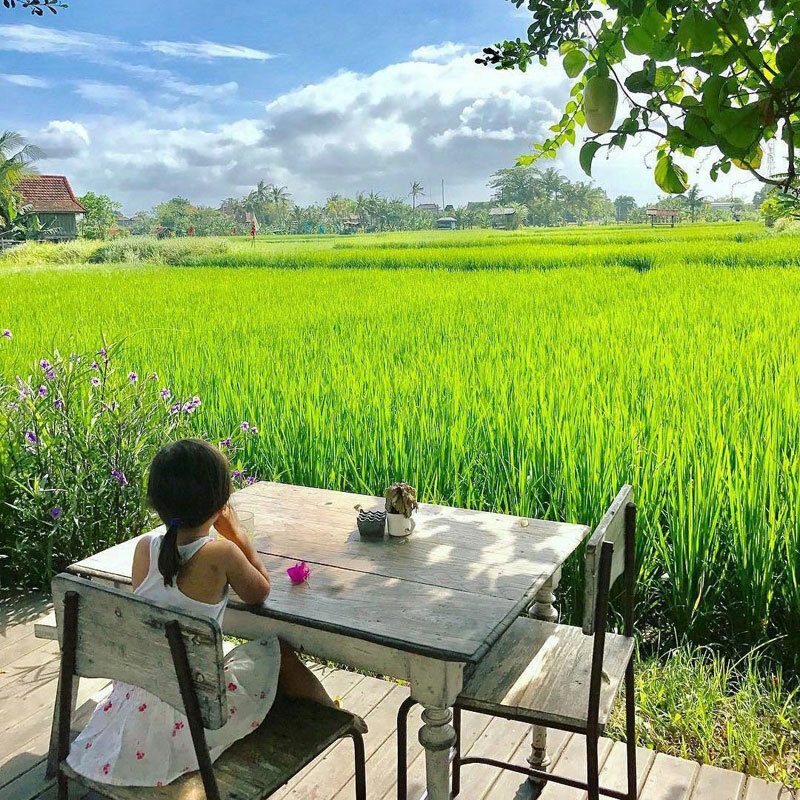 Being one of the largest and best spas in Bali, Prana has all you’ll ever need for the ultimate relaxation – from heated stone massages for one, or even lavish hen parties. Boasting exotic surroundings oozing exquisite luxury, Prana combines the best of Indian and Moroccan architecture and design. Tented ceilings or finely detailed hand painted canvases may be the first thing you see as you step into your room. Treatment rooms are done up so you feel like you’re entering a whole new world as you luxuriate in the spa experience. 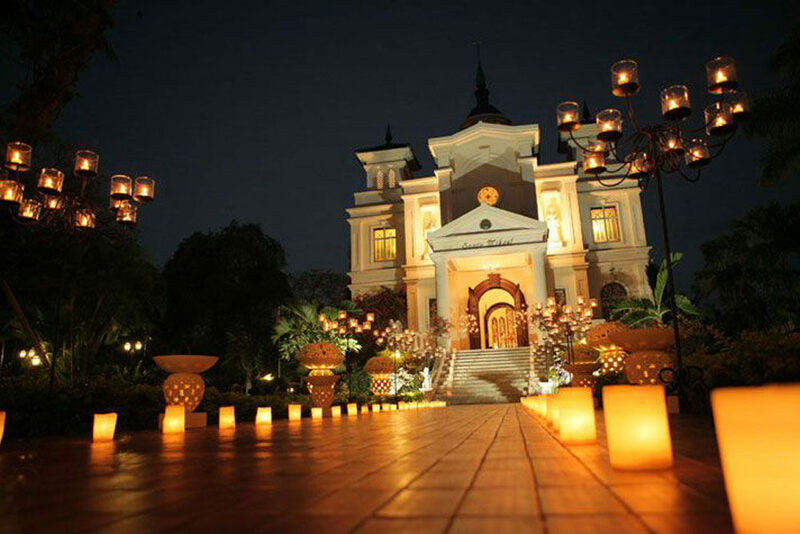 If you’re not sure which treatment to choose, how about the highly recommended Simple Bliss Ayurvedic Treatment. Using custom blended essential oils, this full body massage will ensure you get pampered from the top of your head, to the bottom of your feet. 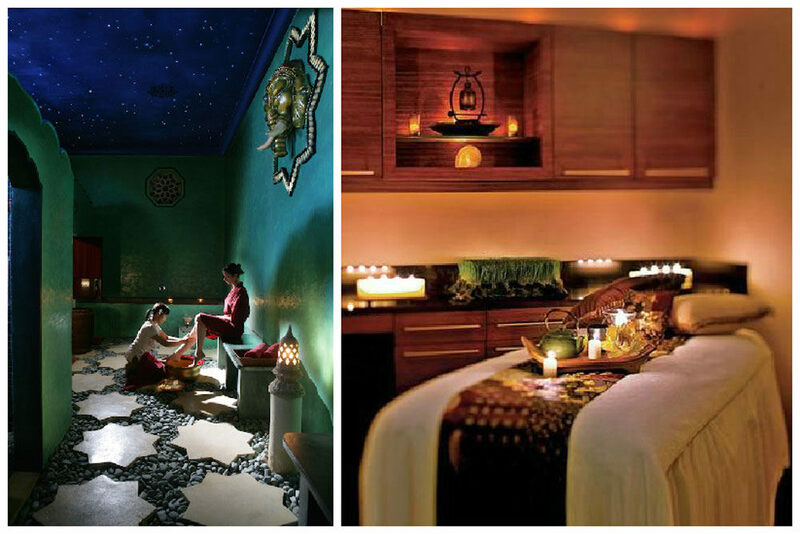 There are many other treatments to choose from with spectacular names such as Mystique of Bali, and Divine Unity. 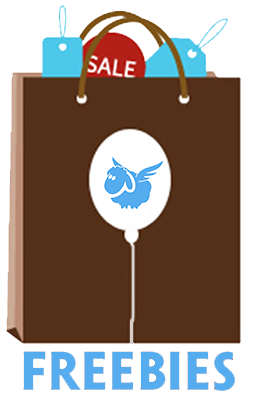 So you can be sure to find something absolutely perfect for your needs! Address: Jl. 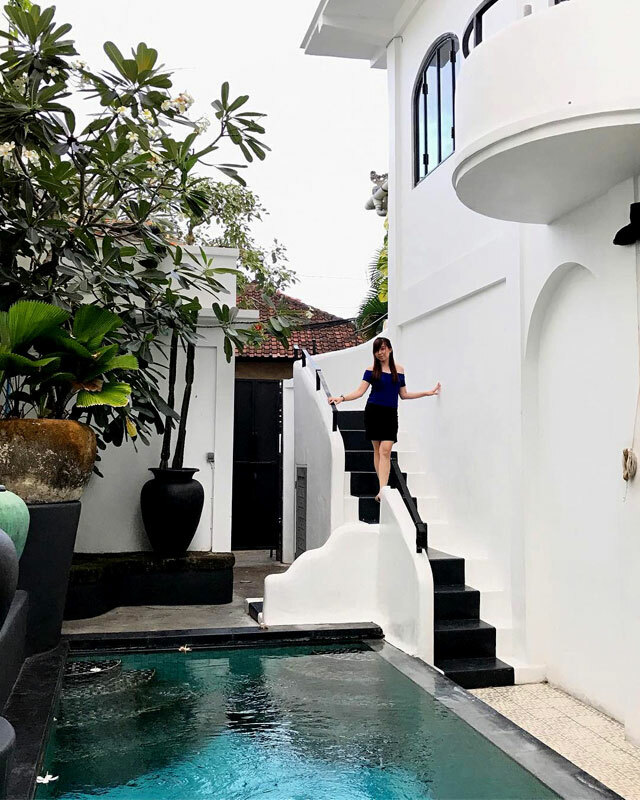 Kunti I No.118X, Seminyak, Bali 80361. 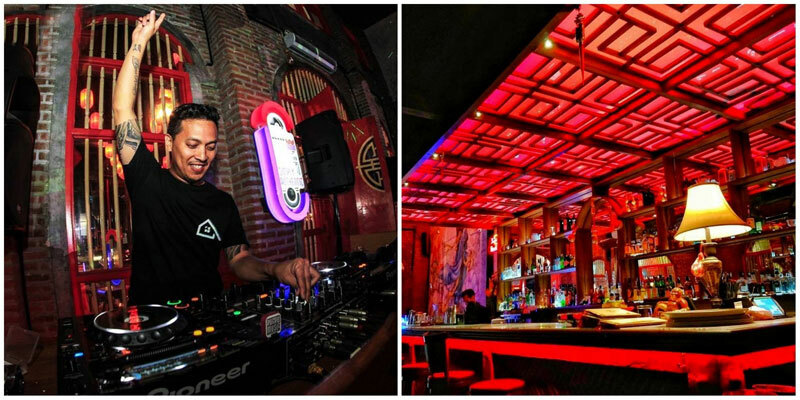 Serving amazing burgers and a wide variety of drinks to enjoy over live music, Nirvana Burger Bar is the place to be for quality nightlife entertainment. 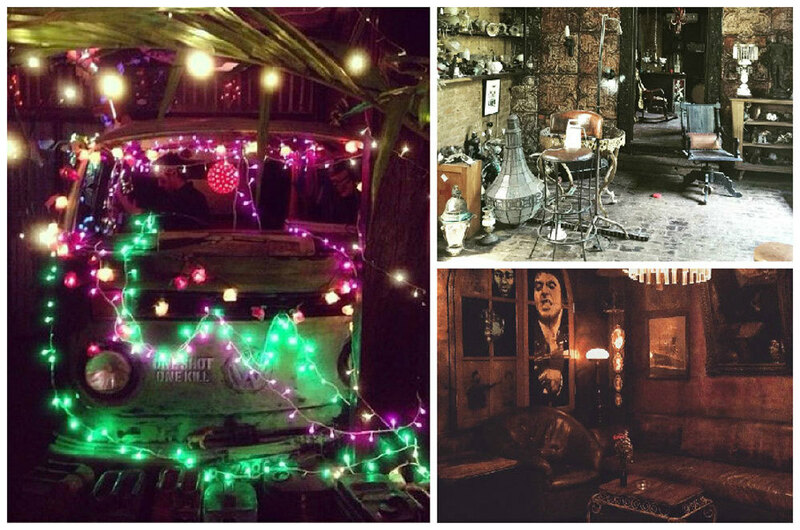 What is one thing that sets this place apart from the other bars? 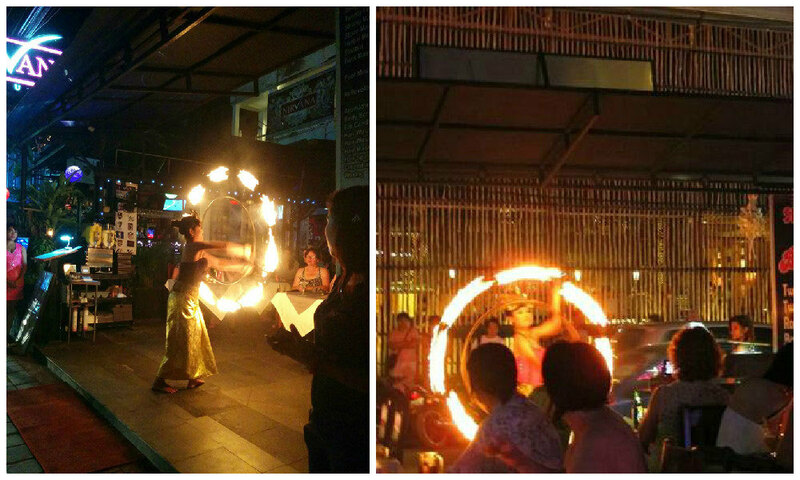 Their amazing fireshow displays! 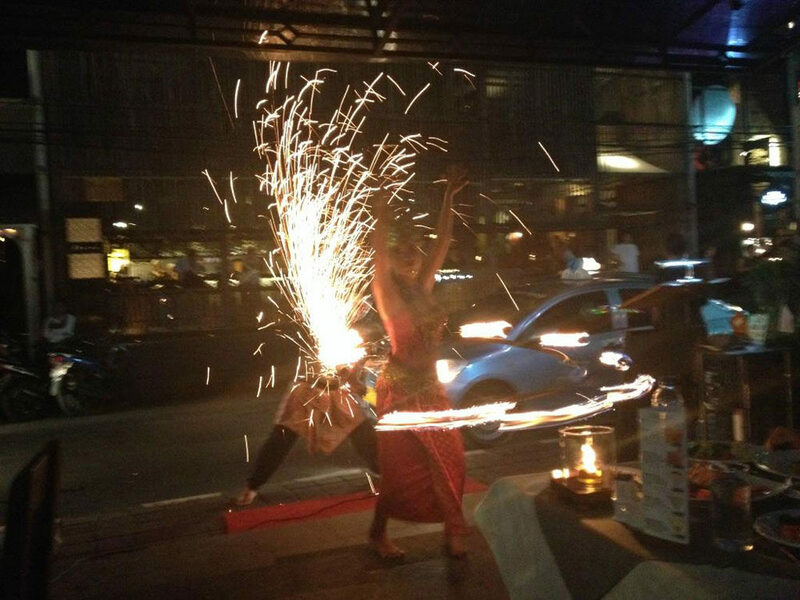 Available every Tuesday, Friday, Saturday and Sunday, Sit back and get cosy as the performers wow you with their fiery show – that ends with a big bang as fire sparks fly behind the performers! And it that’s not enough, magicians perform their tricks every Monday and Wednesday too. Let Nirvana Burger Bar spark the magic in your holiday! 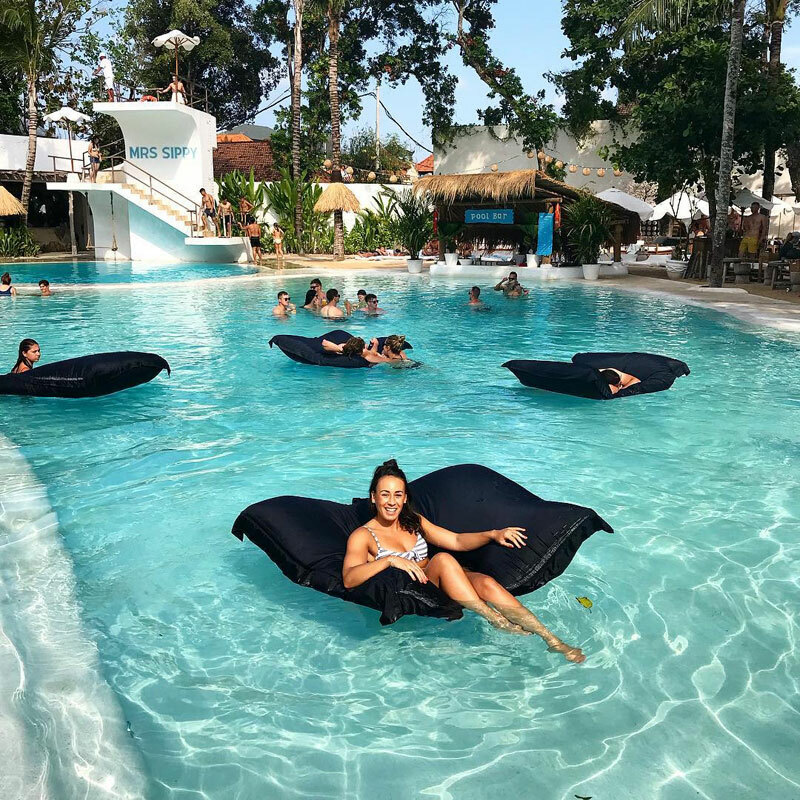 And if that’s not enough to whet your appetite for some of that beach life – other activities available at Seminyak Beach also include surfing, and horseback riding on the sandy shore. 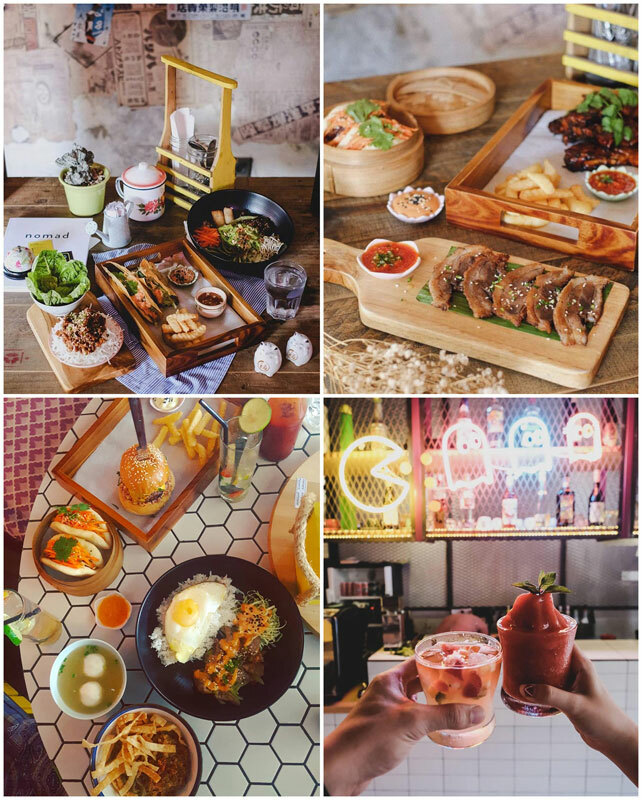 The notably famous Eat Street, also known as Jalan Laksamana is the one place you should go to for all the best food in Bali. 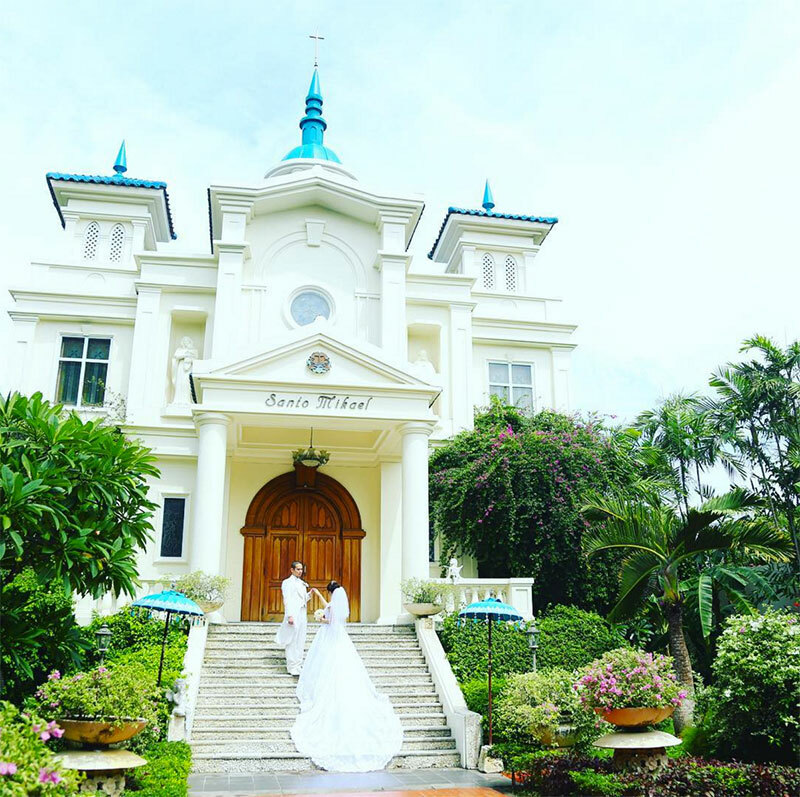 Along delightful Jalan Laksamana, there is a particular cafe specially for food-loving romantics, and the occasional wedding ceremonies! 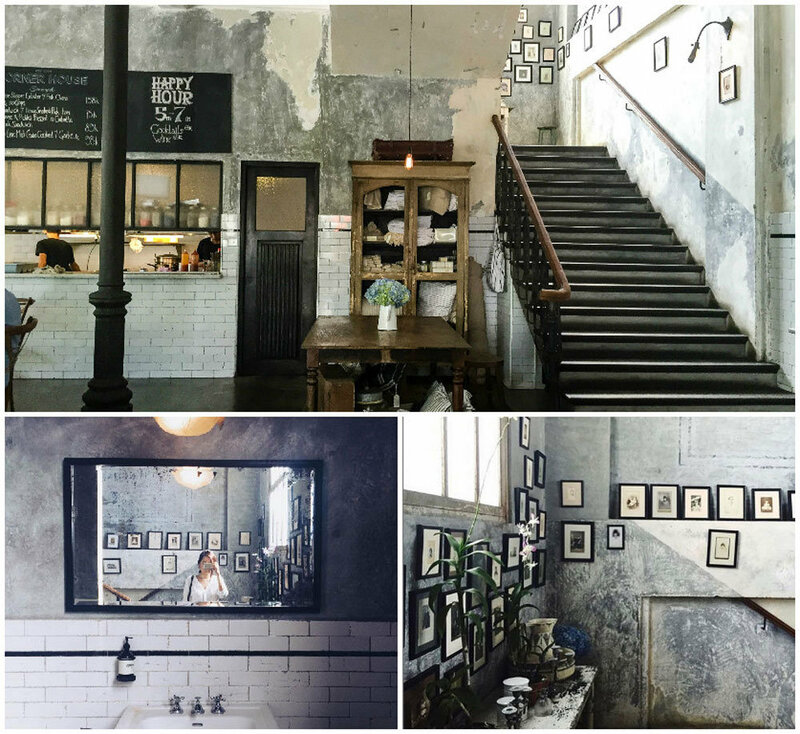 Enter The Corner House – serving up delicious coffee and quiches in a quaint building decorated with vintage decor and jars of fresh wildflowers! 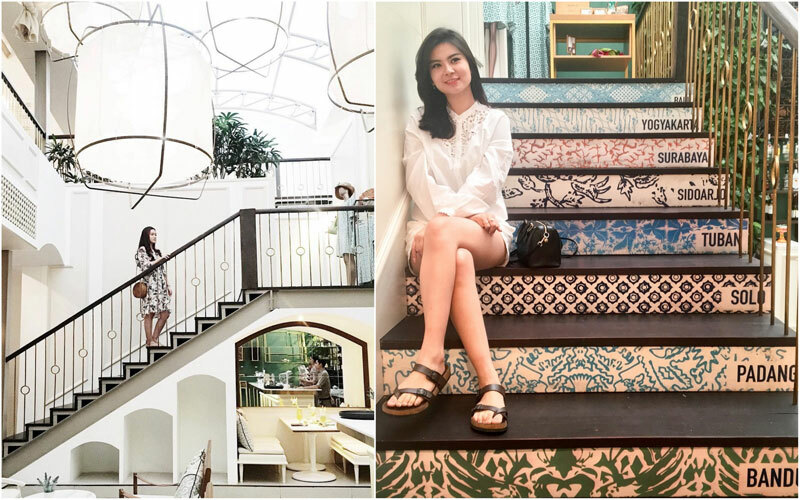 Best for brunches, The Corner House also provides a great setting for your favourite type of instagram shots – a combination of great decor, and both prettily-plated and delicious food. 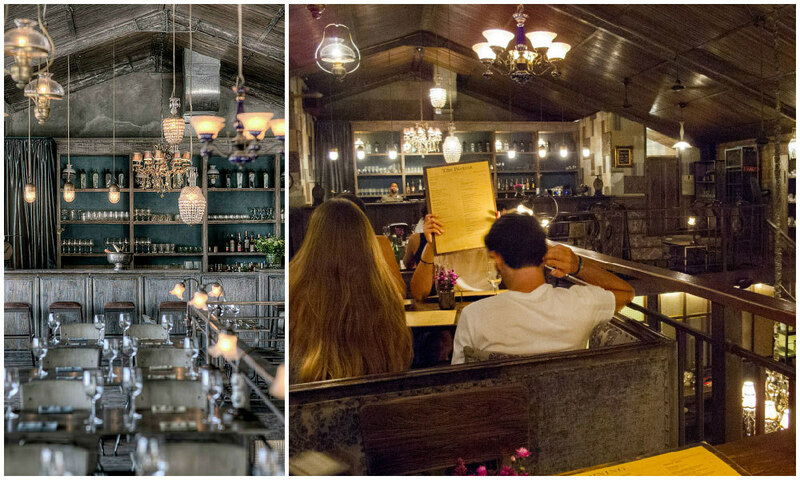 For those who are a fan of European ambience, you would definitely want to check out The Bistrot too! 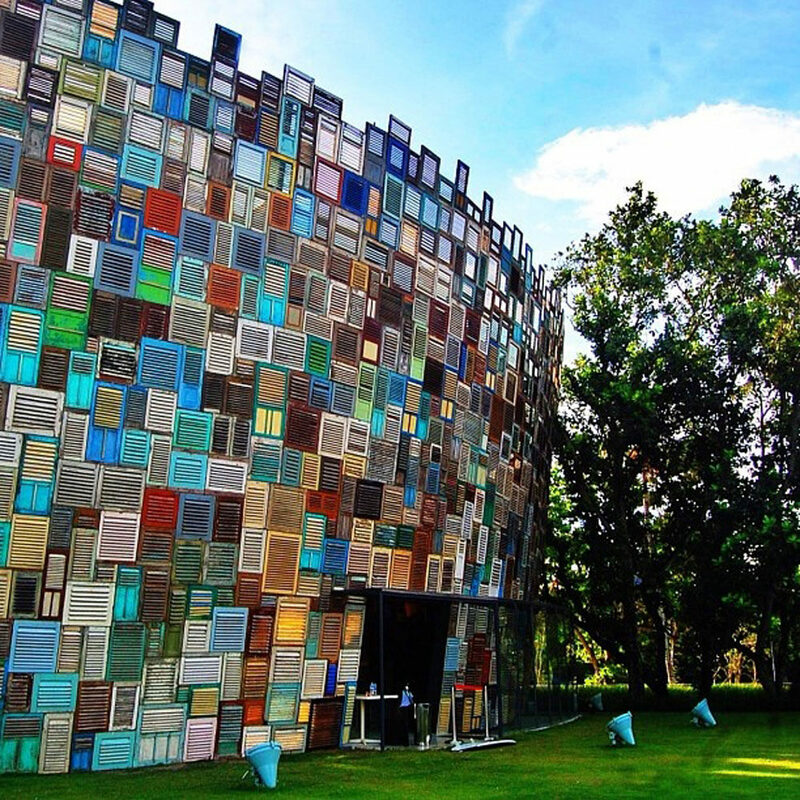 Enter Vin + Seminyak’s towering bamboo enclave and step into the world of premier wines. Forgot the vineyards of Tuscany, and embrace all the expertly curated labels available here. With specially curated wines from all over the world with prices suitable for every budget, it’s little wonder why this stunningly well-decorated restaurant is such a huge hit in the nightlife scene. Apart from wines, there are also signature cocktails you should definitely try like the Marmalade Martini (sparkling wine, gin, blood orange and orange marmalade), and Jinn Geisha (gin, umeshu, lychee juice, mint and ginger). To top it off, one has to both drink, and eat to be merry – fill your belly with the cosmopolitan cuisine available. And if you’re not quite sure what to pair your wine with, don’t fret. There are wine pairing specials for you to choose from, so you’ll never go wrong! 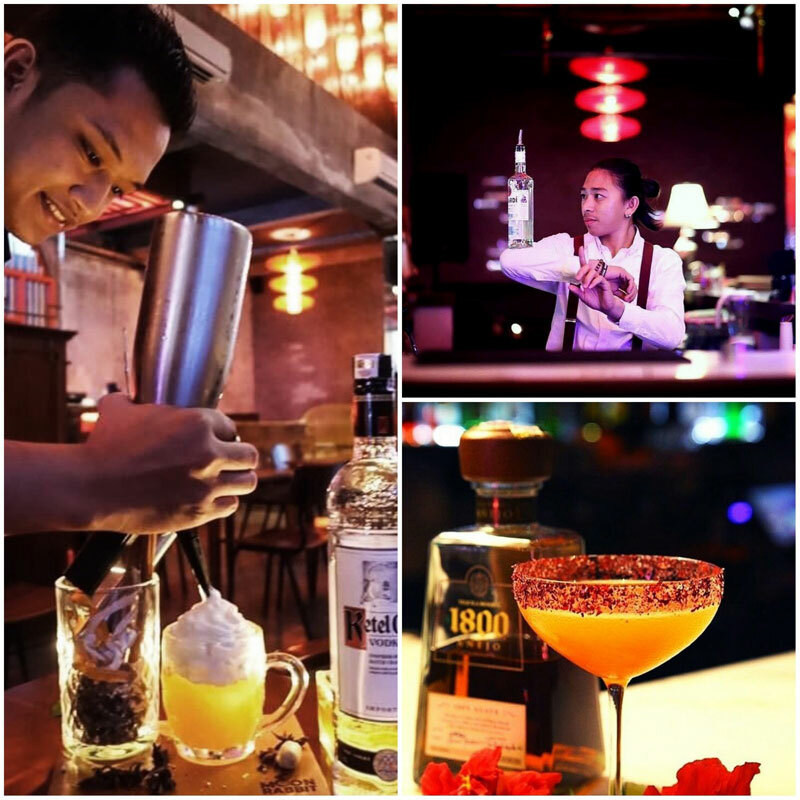 Want to know what other unique bars there are around Bali, click here for more! 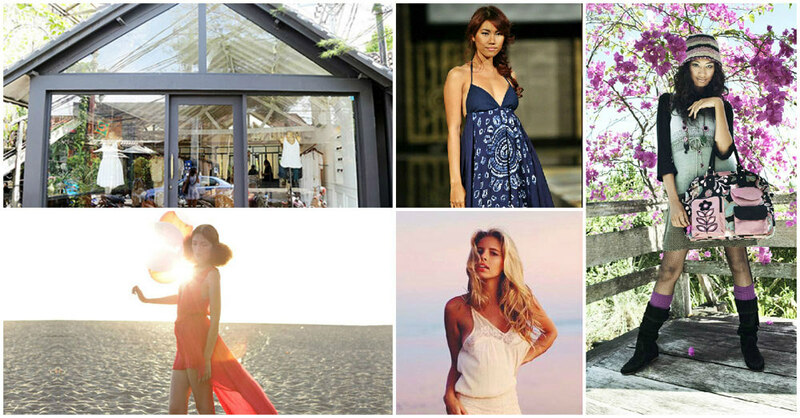 Looking to shop in Bali? Instead of the usual clothes and tacky souvenirs, try something a little different! 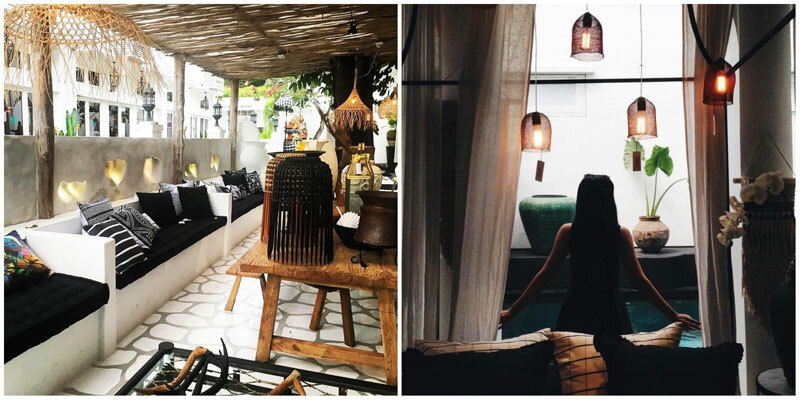 There’s a ton of different traditional Balinese furniture, homewares and antiques simply waiting for your discovery. Get some wooden ethnic bowls, or even mix it up with different metal sculptures. You’ll come back from Bali feeling totally different and refreshed, with your home looking a little different too! Not to mention, these purchases will surely be great conversation pieces for when you have guests over. 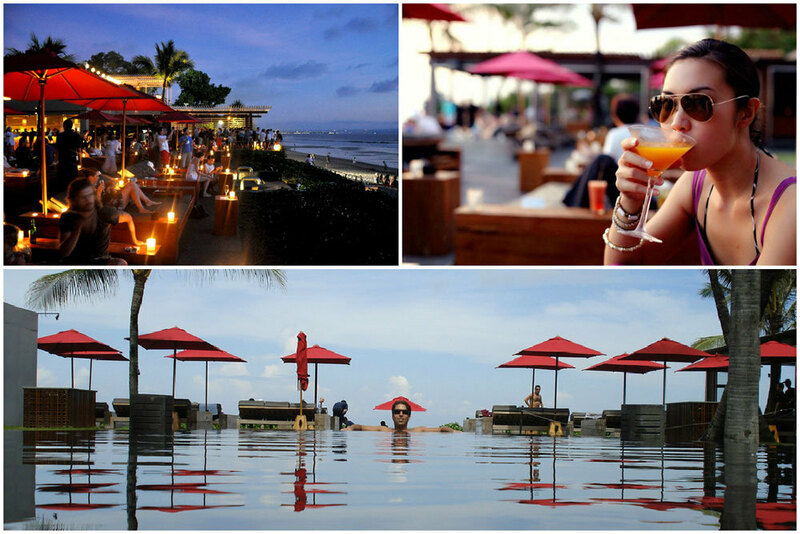 Bask in the sunset at one of our favourite hangouts, Ku De Ta Bali. 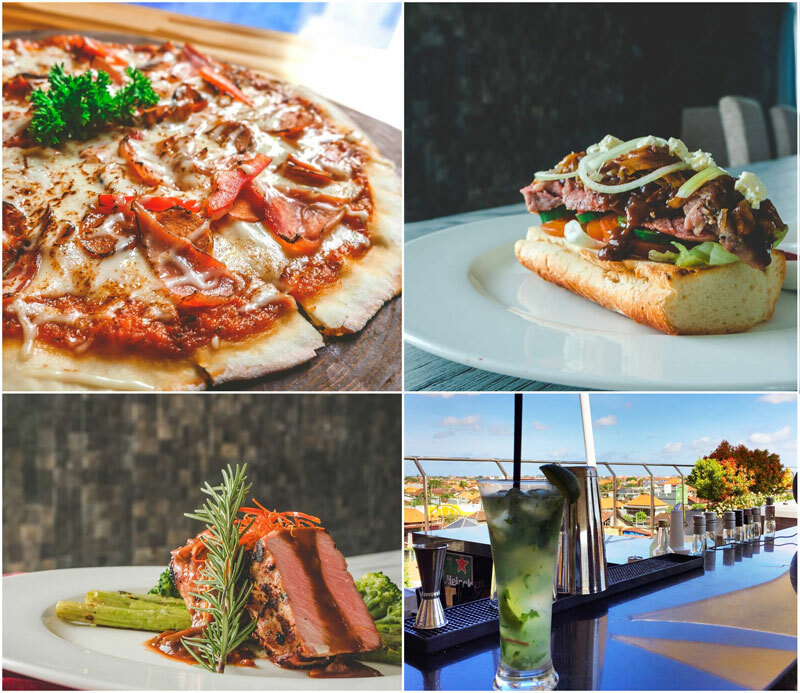 With a wide array of fine-dining options, we definitely recommend that you spoil yourselves here. Apart from specially crafted cocktails and the wonderfully scenic backdrop, make sure to also try the chef recommended Roast Barramundi Fillet! 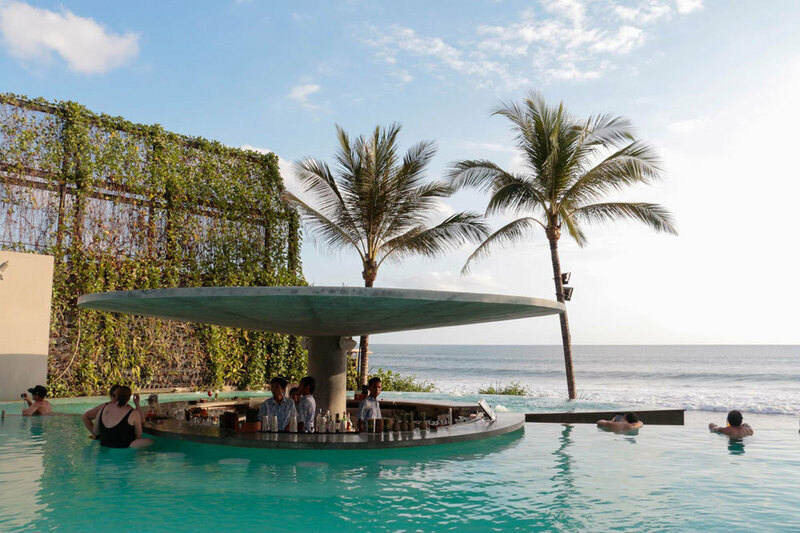 Ku De Ta Bali truly gives you fine-dining at one of Seminyak’s finest, with an amazing selection of intricately prepared food and drinks – to be accompanied with the loveliest view of the sparkling ocean. 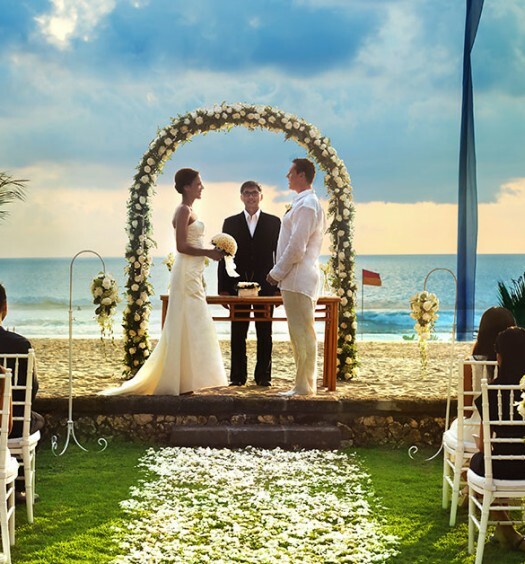 Get your well-earned holiday started at Ku De Ta Bali! Vibe your way down to one of Seminyak’s hottest clubs on the scene, Potato Head Beach Club! 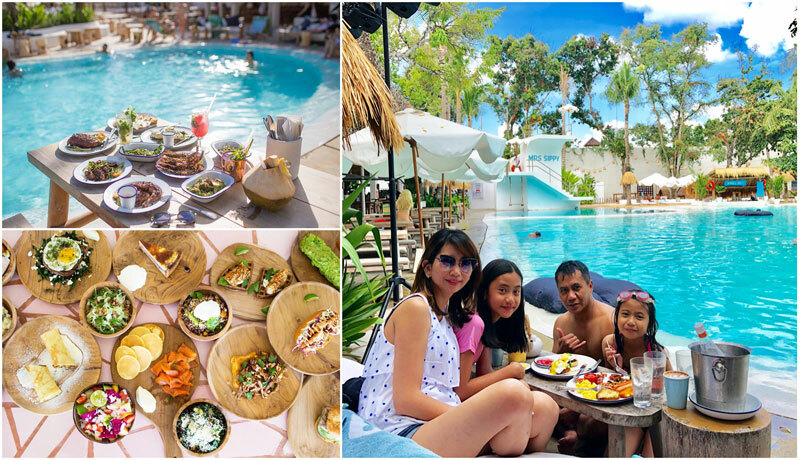 Chill out by the unique oval pool to the tunes of internationally renowned DJs, along with moonshine drinks, and their signature bistro-styled bites. Dress to impress in your favourite crochet bikinis and cover-ups for the ladies, or your go-to patterned tees (alternatively, rock hard abs would do fine as well 😉 ) and boardshorts for the guys, and get that ultimate winning shot of your Seminyak holiday. 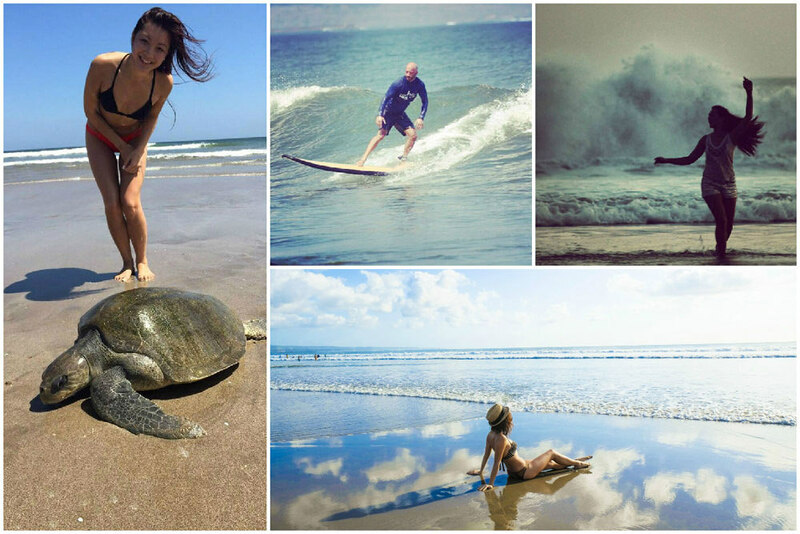 With so many wonderful things to see and do in Seminyak, you’ll be so spoilt for choice! 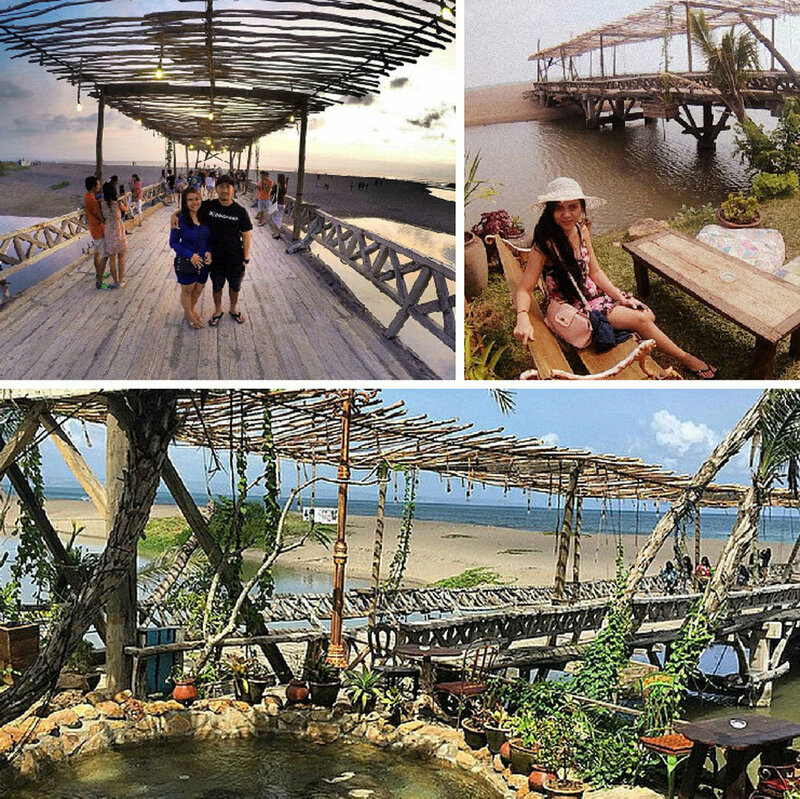 Whether it’s having a lovely date night at Vin + Seminyak; taking photos at the various instagram-worthy locations; or checking the bohemian gloriousness of La Laguna – don’t miss out on all that Seminyak has to offer!